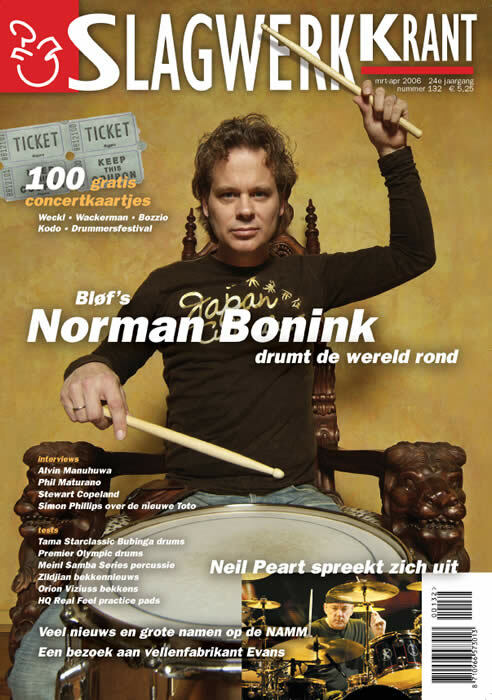 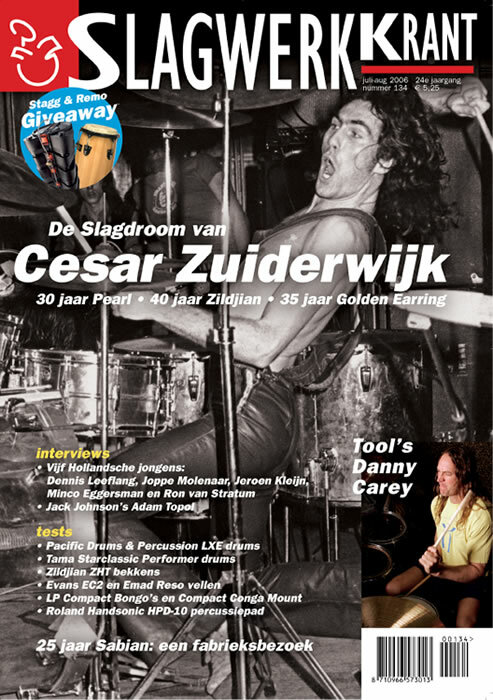 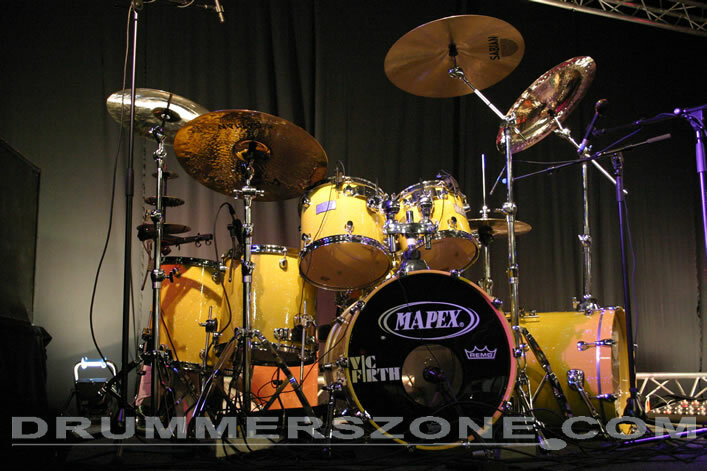 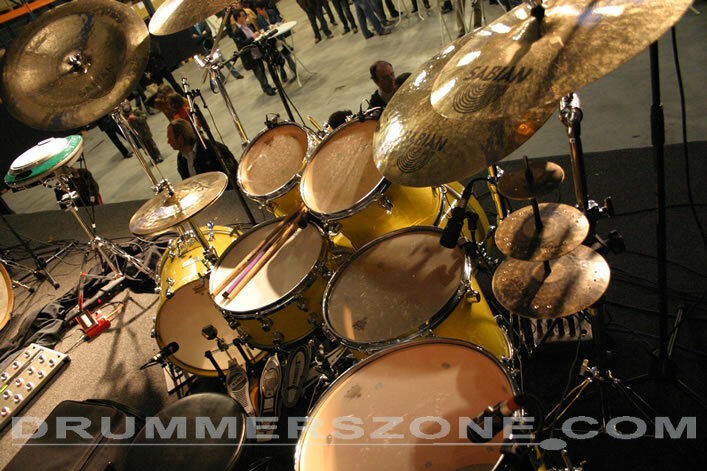 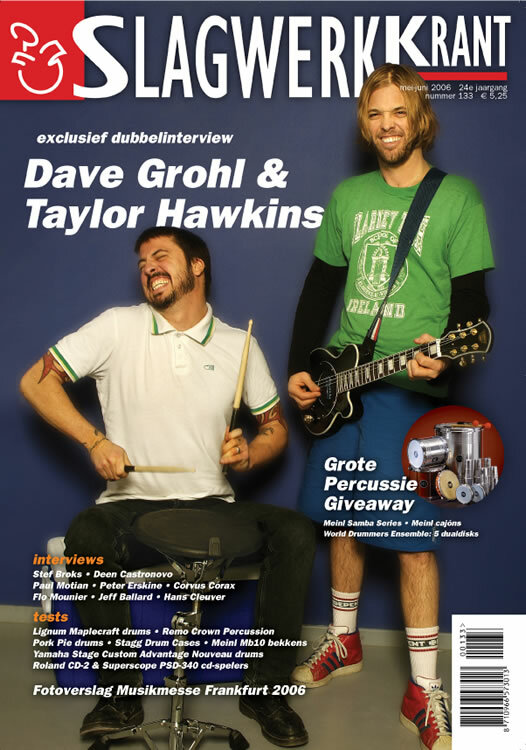 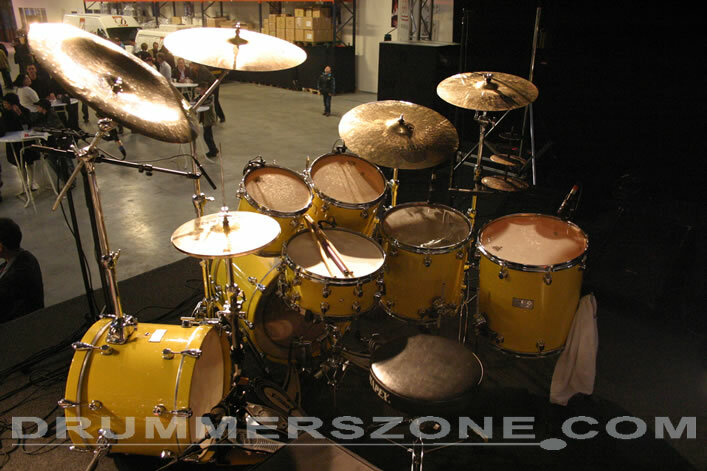 Clinic at the Adams Drummers festival 2009 in CC Het Loo in Tessenderlo, Belgium. 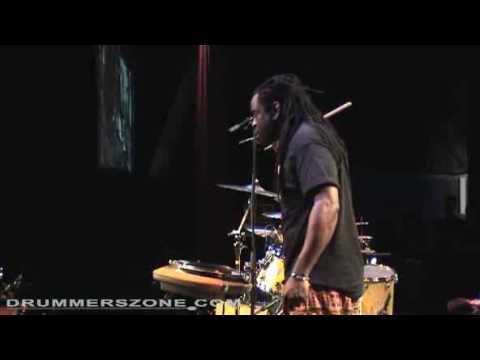 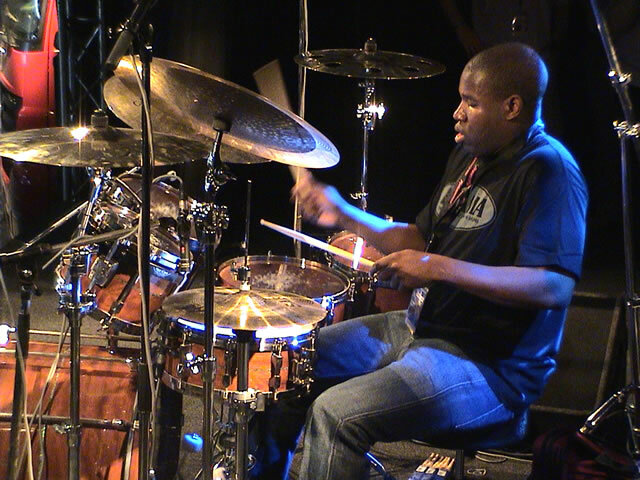 Will Calhoun clinic at Adams Drummerfestival 2009, Belgium. 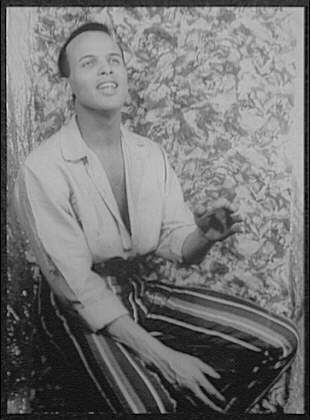 Official biography published on social media (August 22, 2017). 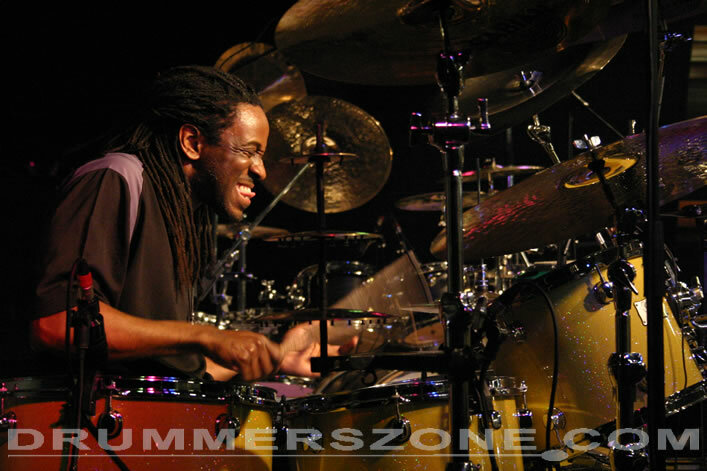 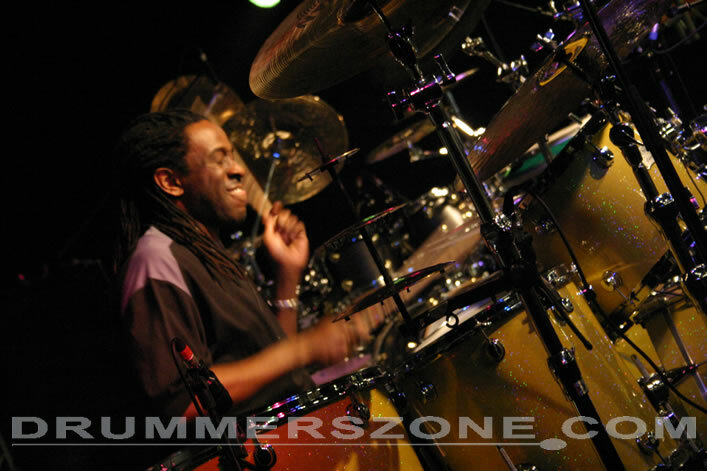 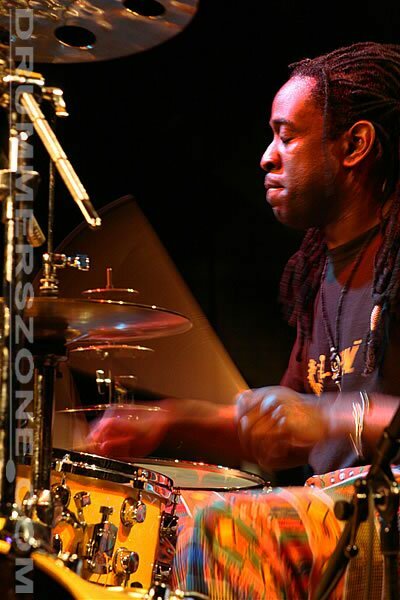 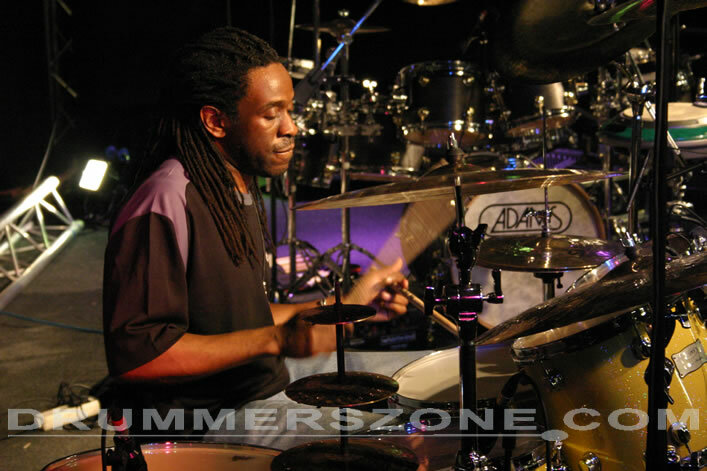 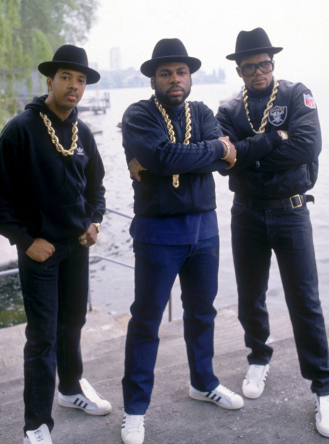 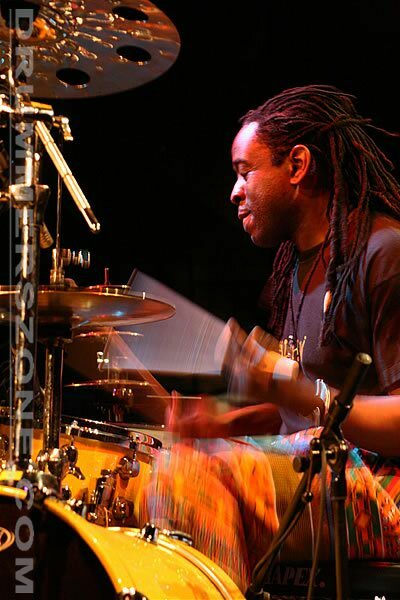 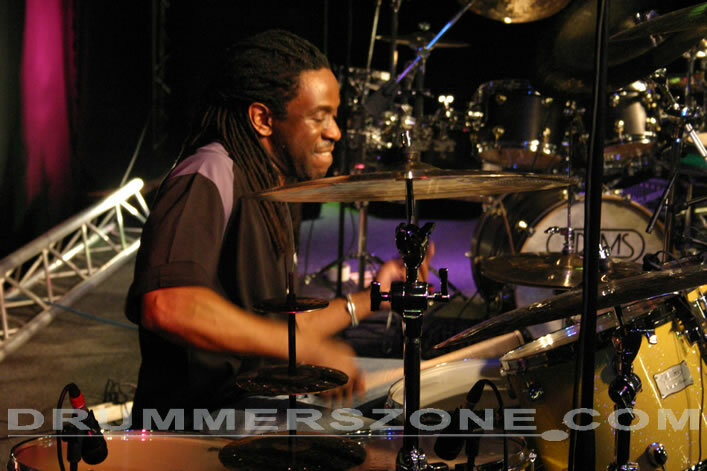 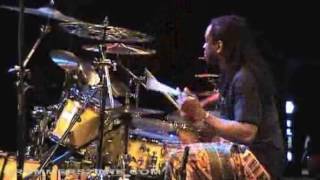 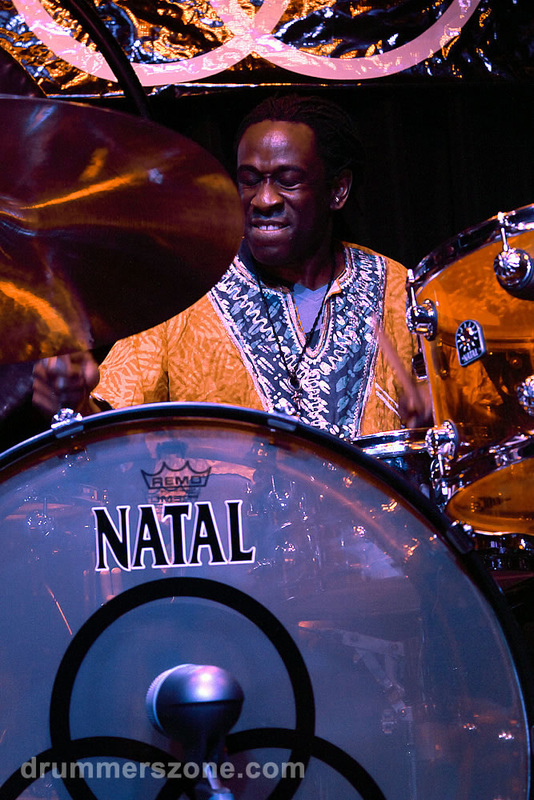 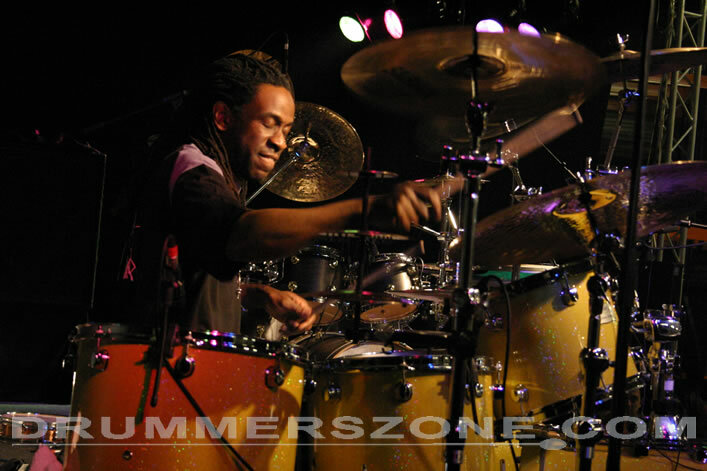 Will Calhoun, the widely acclaimed drummer from the Bronx, New York, graduated from the Berklee School of Music in Boston, where he received a Bachelors degree in Music Production and engineering. 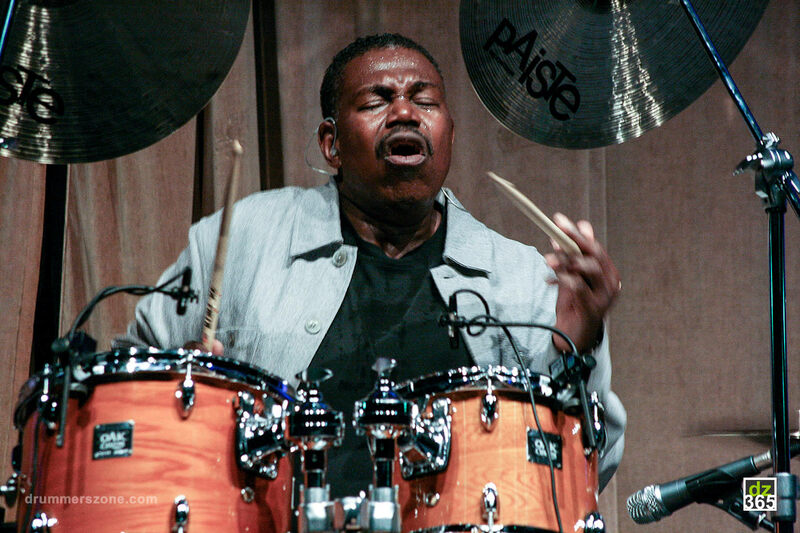 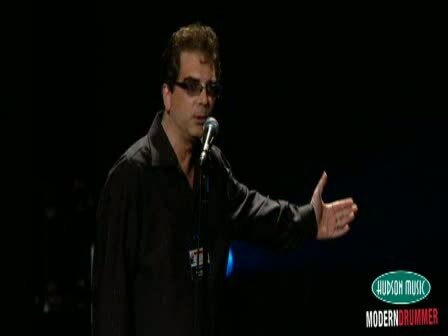 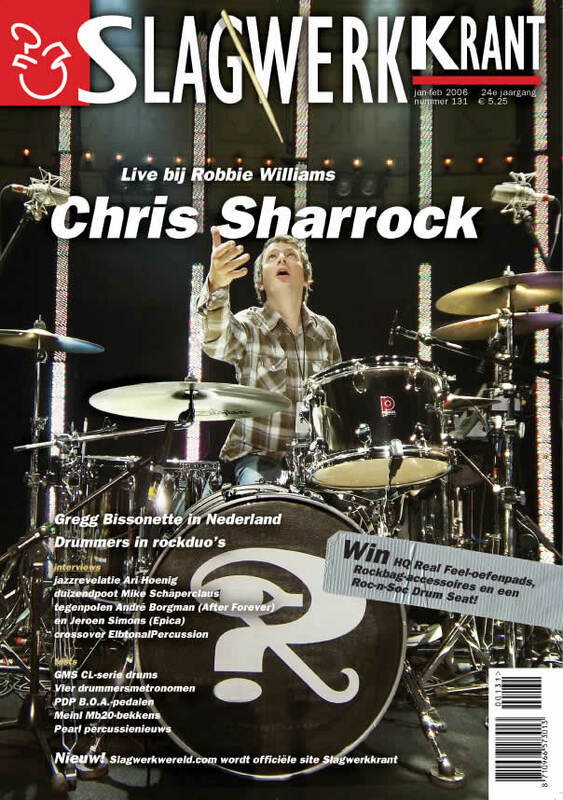 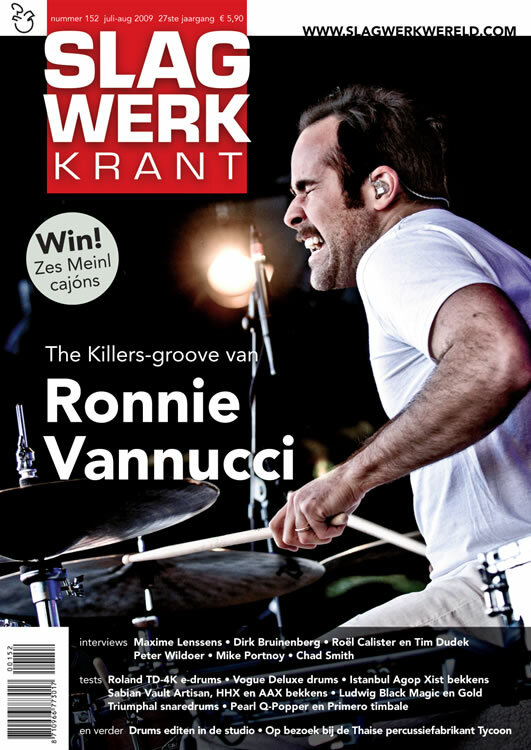 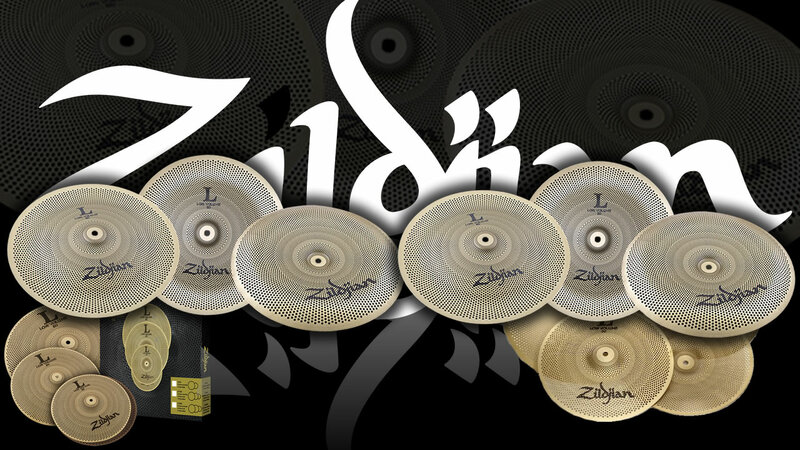 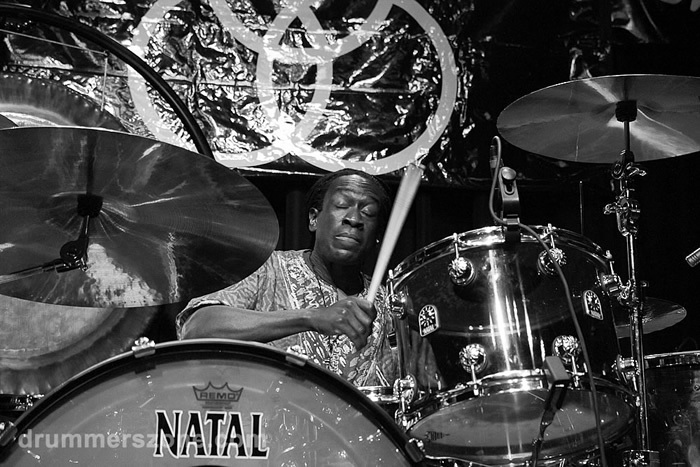 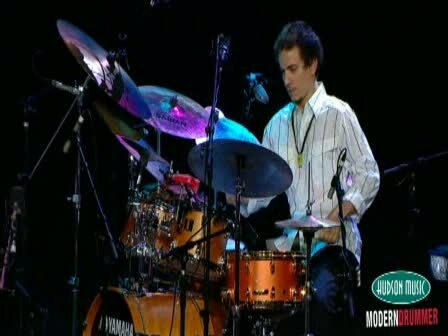 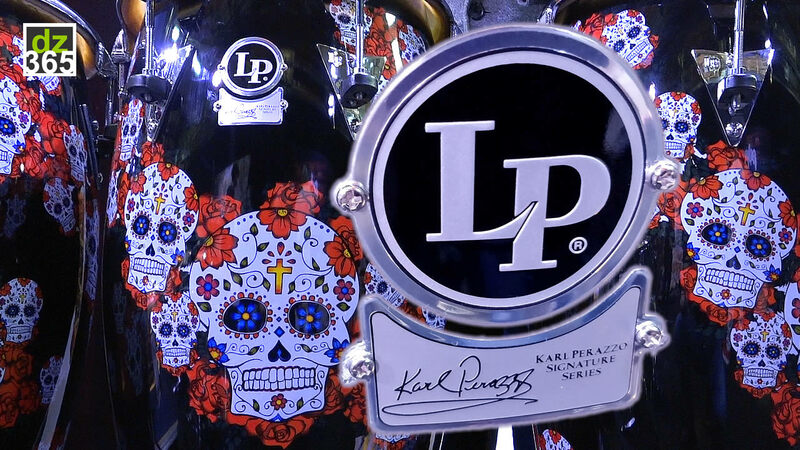 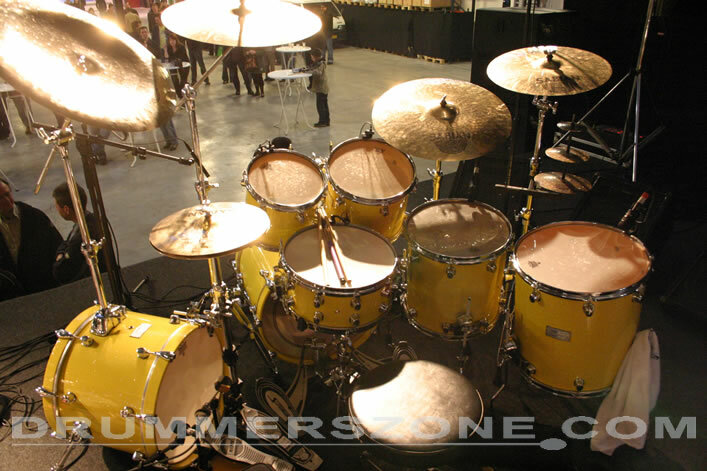 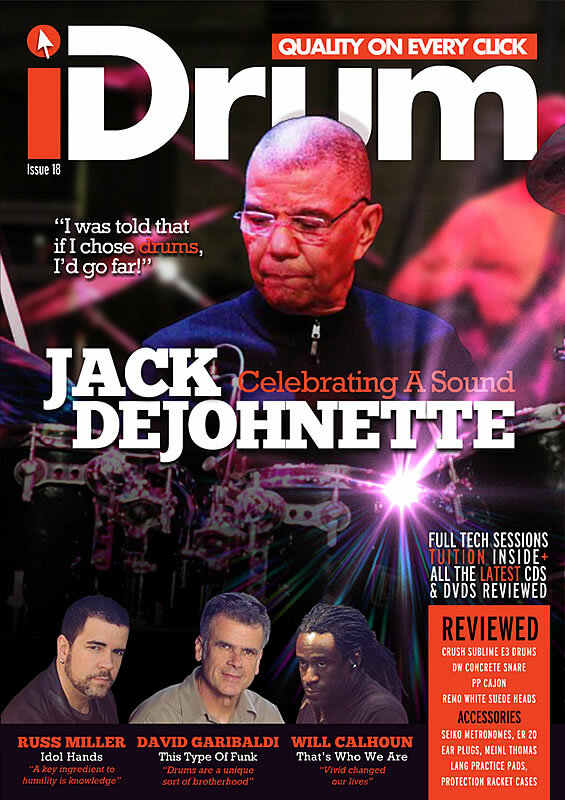 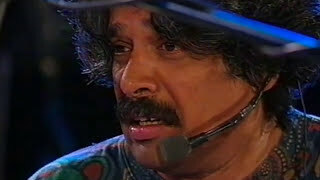 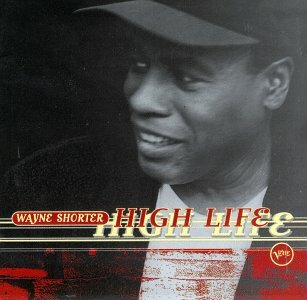 He was also the recipient of the prestigious Buddy Rich Jazz Masters Award for outstanding performance by a drummer. 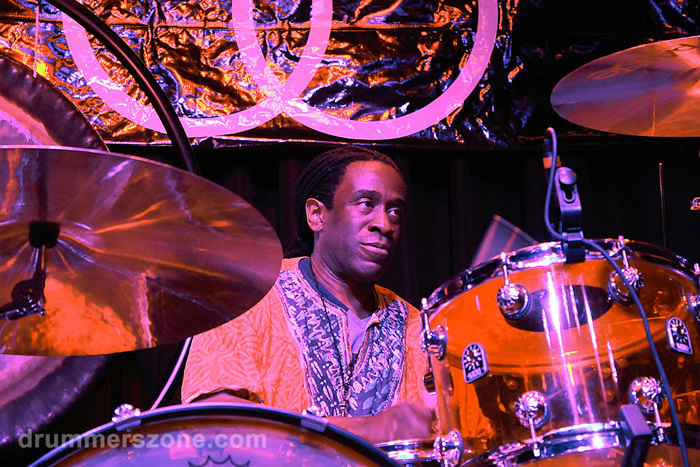 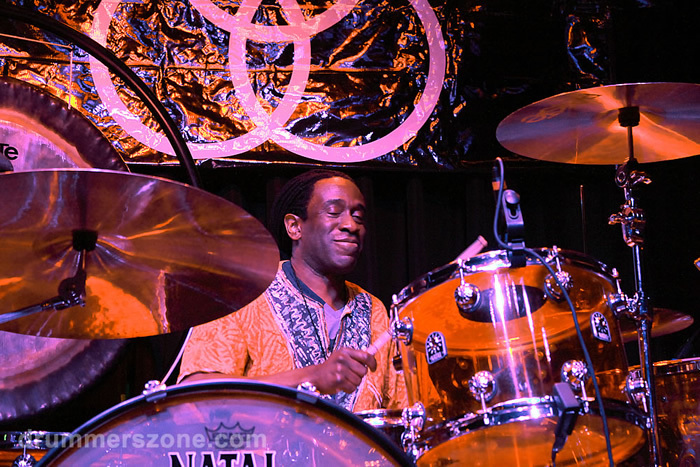 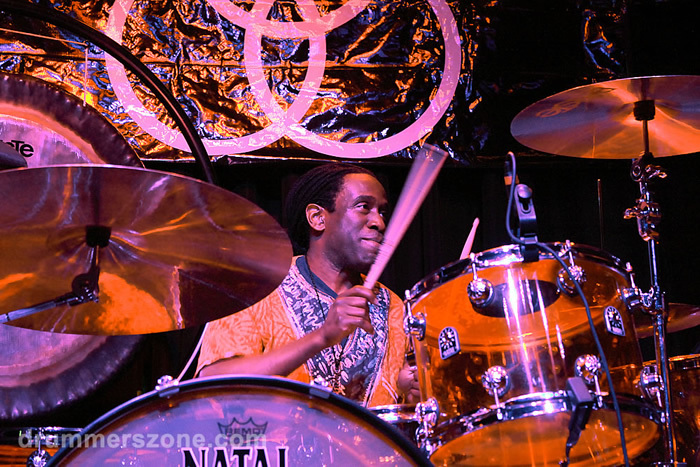 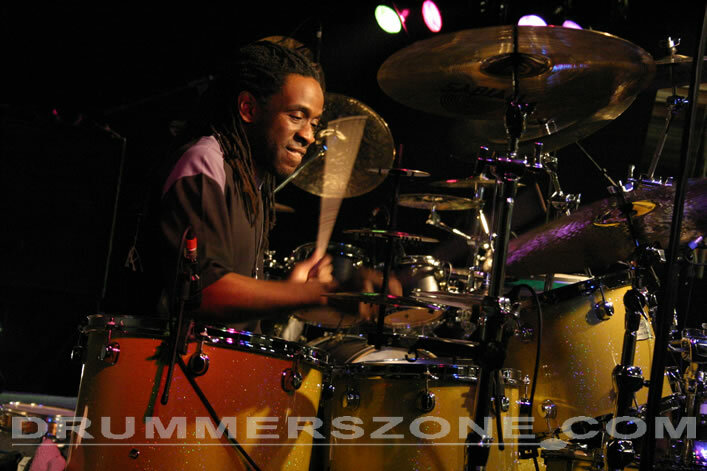 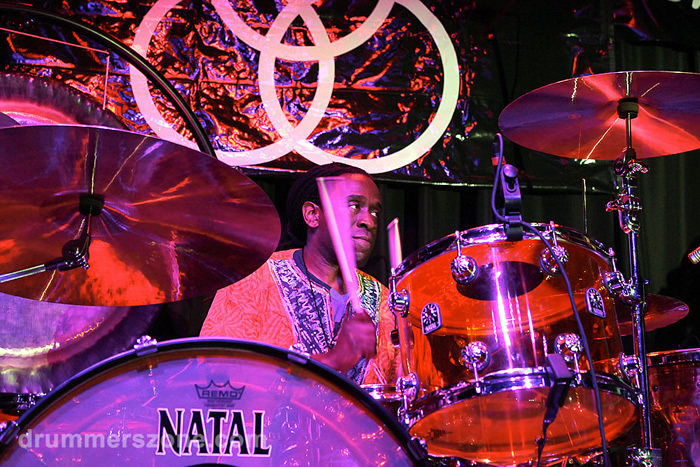 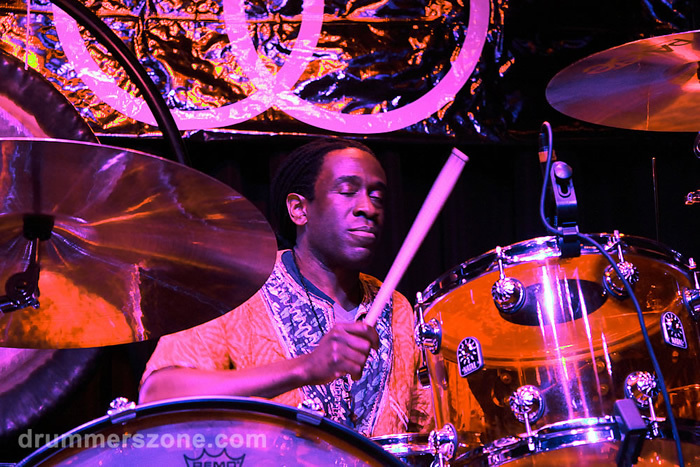 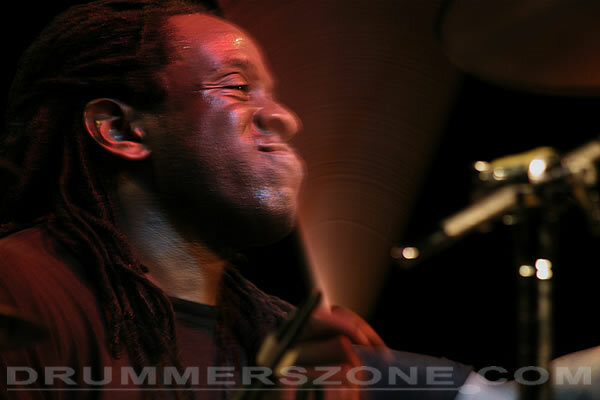 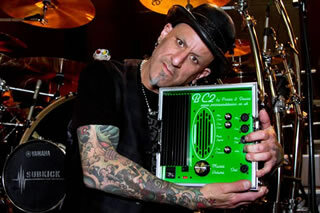 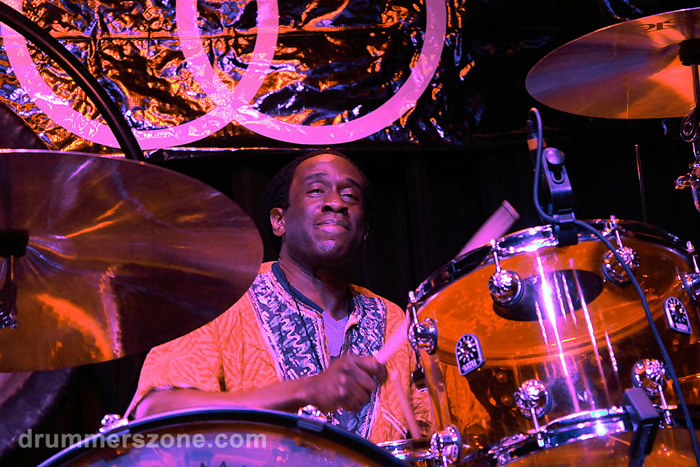 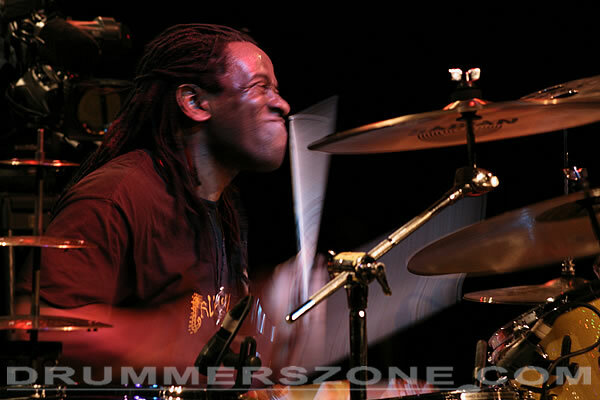 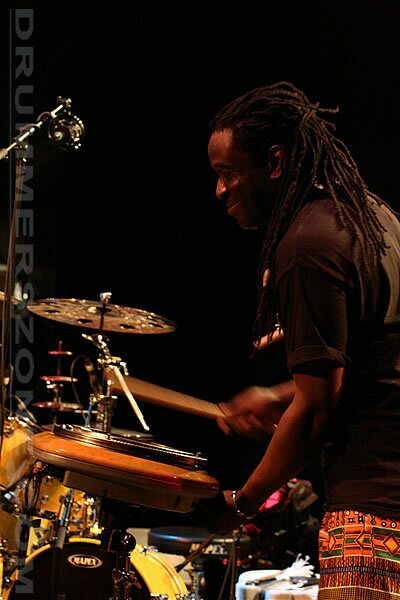 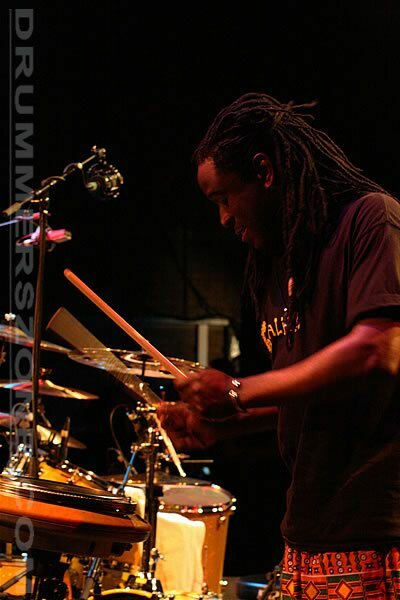 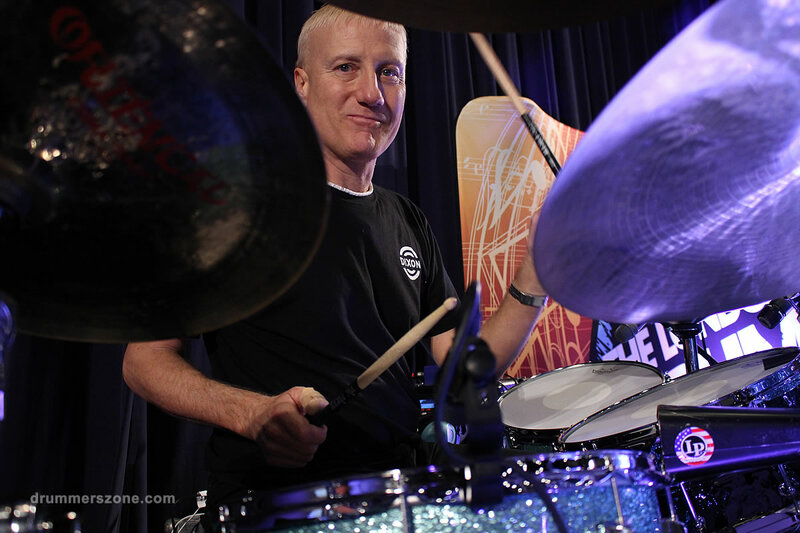 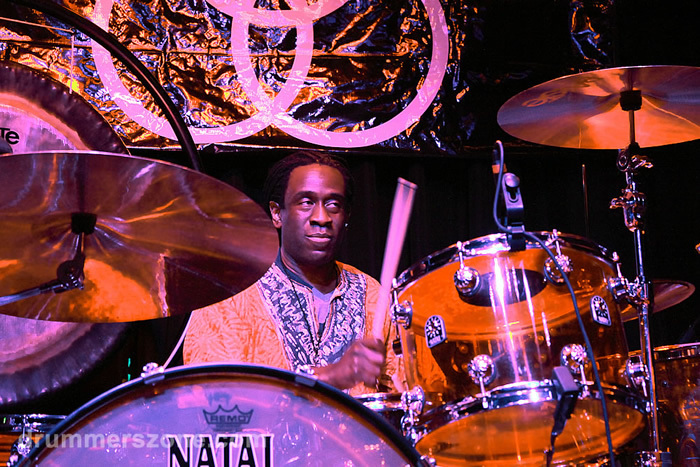 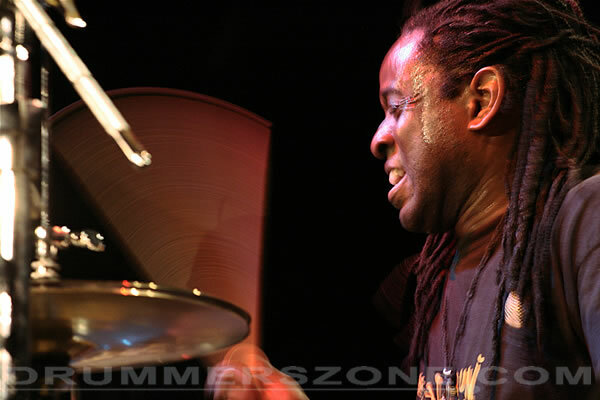 Will Calhoun's unique blend of improvisational and hard rock drumming can be found on each of Living Colour's four Epic releases: the ground breaking multi-platinum debut, Vivid, the critically acclaimed sophomore LP, Time's Up, the Biscuits EP, and Stain, as well as their latest release on Sanctuary Records, CollideØscope. 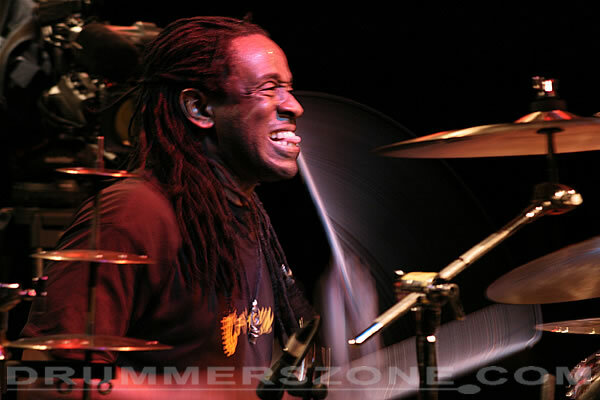 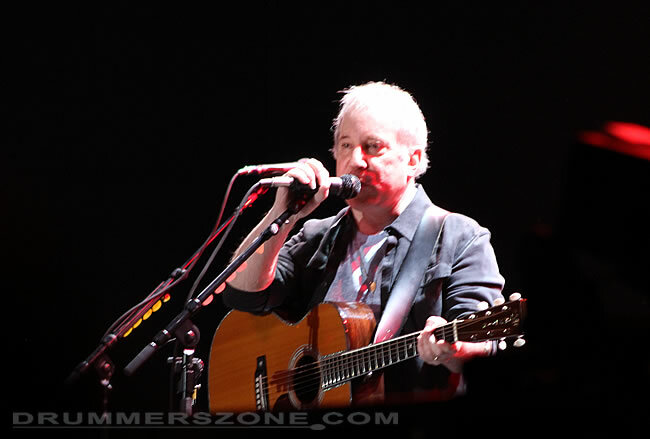 A prolific song writer, Will has co-written many Living Colour compositions and wrote the critically acclaimed song, Pride, on the Time's Up album and Nothingness on the Stain album. 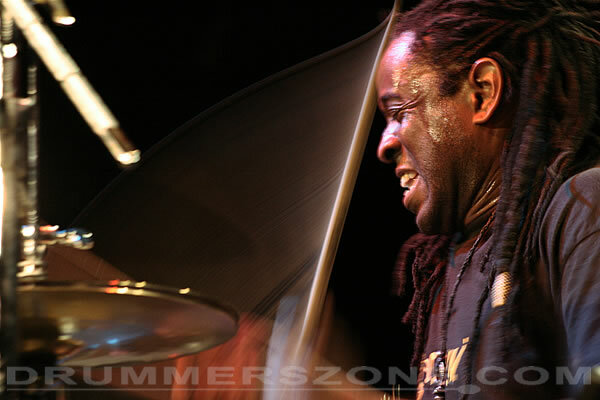 As a member of Living Colour, Will received a Grammy Award for Best Hard Rock Performance by a group and another Grammy for Best Hard Rock Performance. 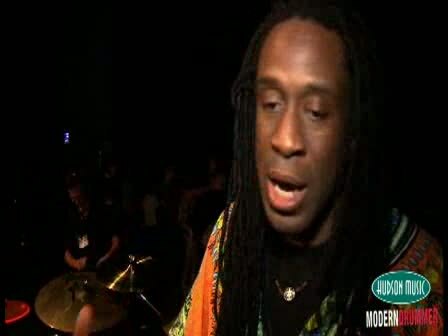 Living Colour also won an International Rock Award for Best Rock Band. 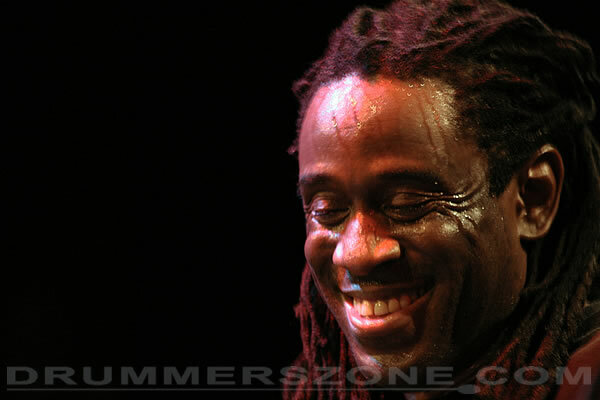 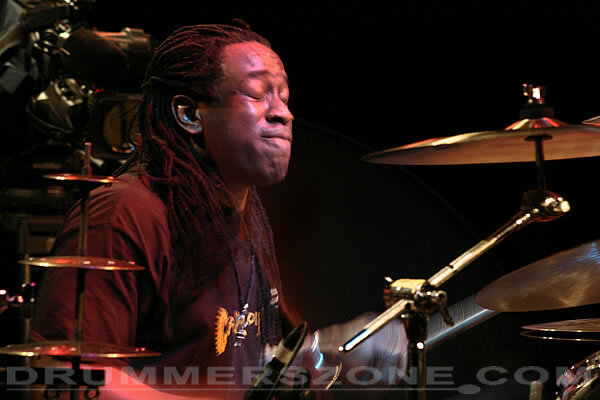 In addition to his work with Living Colour, Will has recorded and/or toured with diverse artists including B.B. 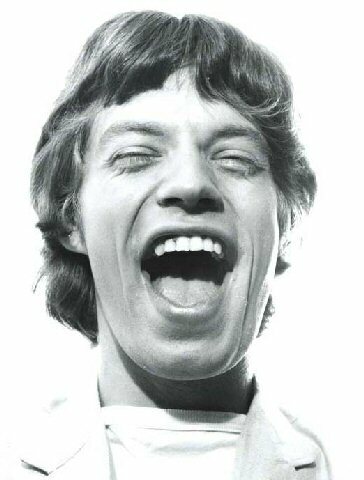 King, Mick Jagger, Jaco Pastorious, Harry Belafonte, Pharoah Sanders, Jack Dejohnette, Paul Simon, Lou Reed, The Allman Brothers, Lauryn Hill, Marcus Miller, Dr.John, Carly Simon, Herb Alpert, Rolling Stones guitarist Ron Wood, Wayne Shorter (on the Grammy-winning CD "High Life"), Lauryn Hill, and recorded with rappers Run-DMC and Public Enemy. 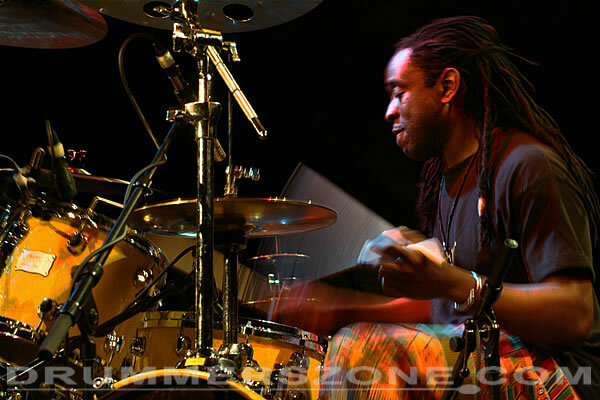 As a producer, player, and songwriter, Will has worked on Herb Alpert's Grammy-nominated CD, Colors. 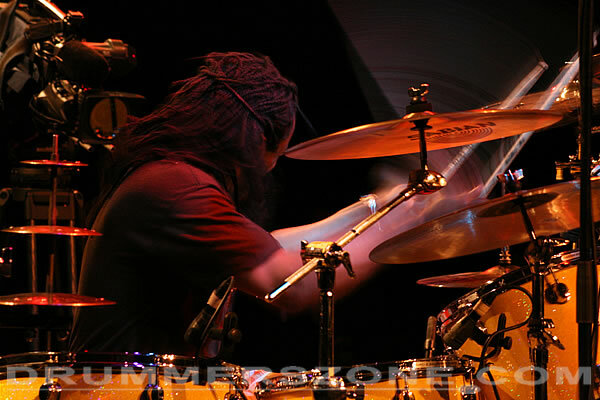 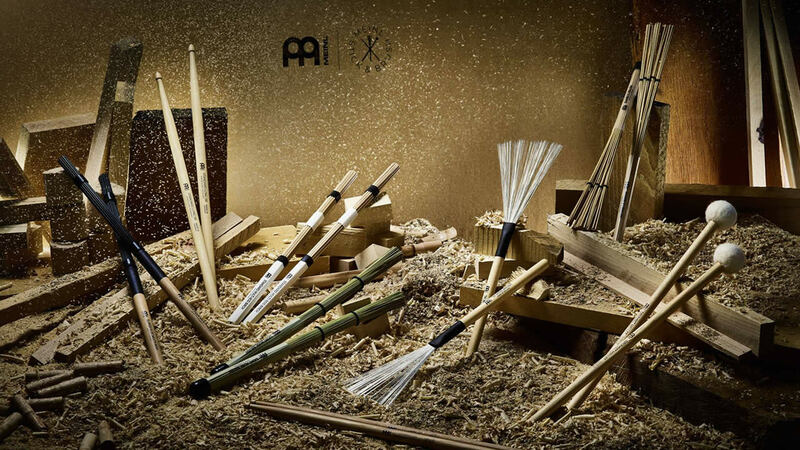 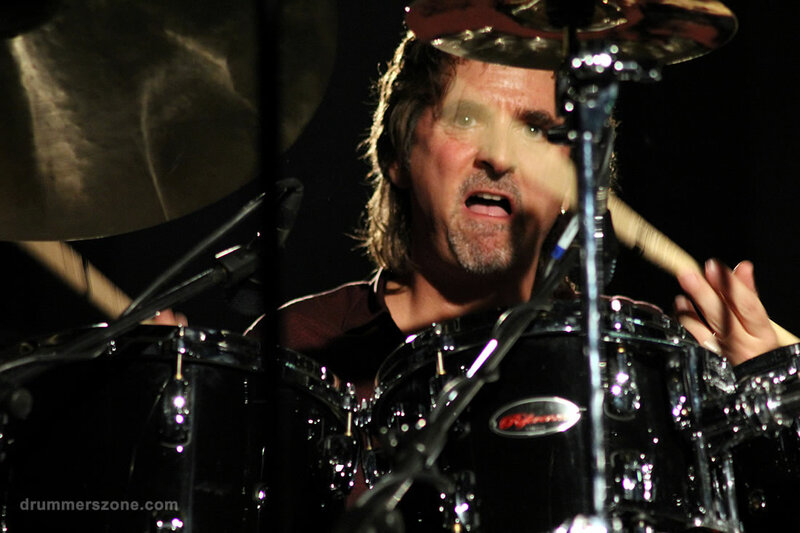 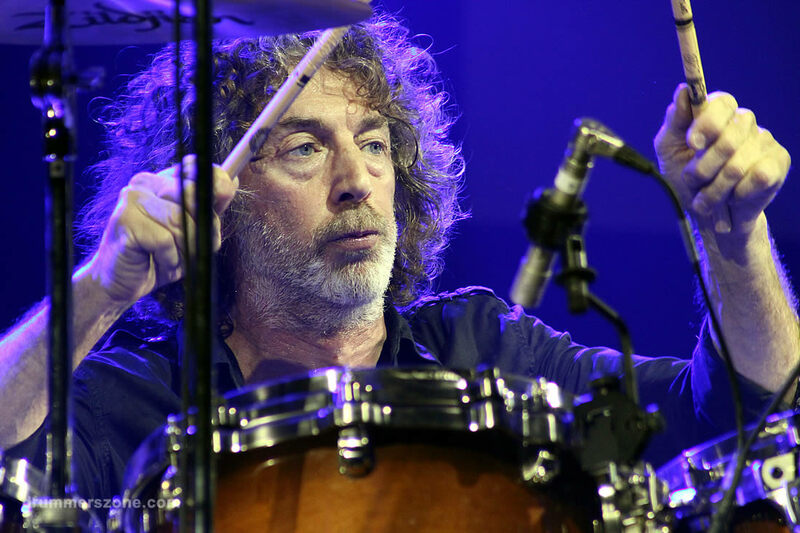 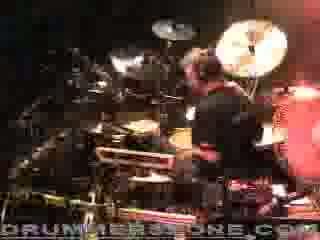 During Will's down time he has managed to record two solo projects Housework and Drum Wave. 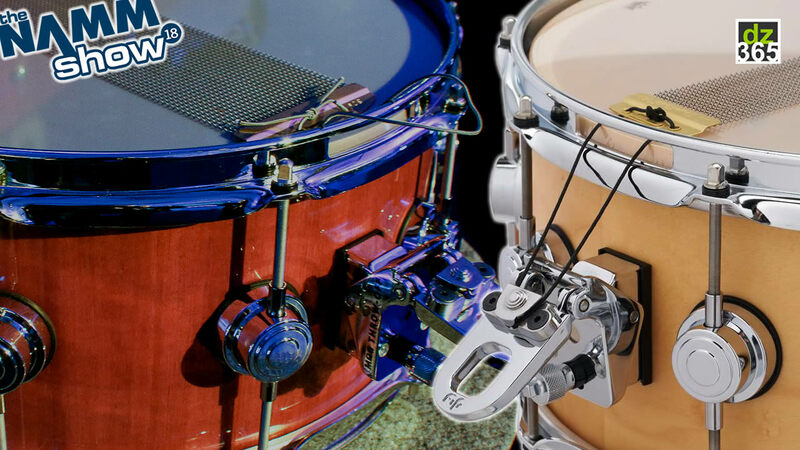 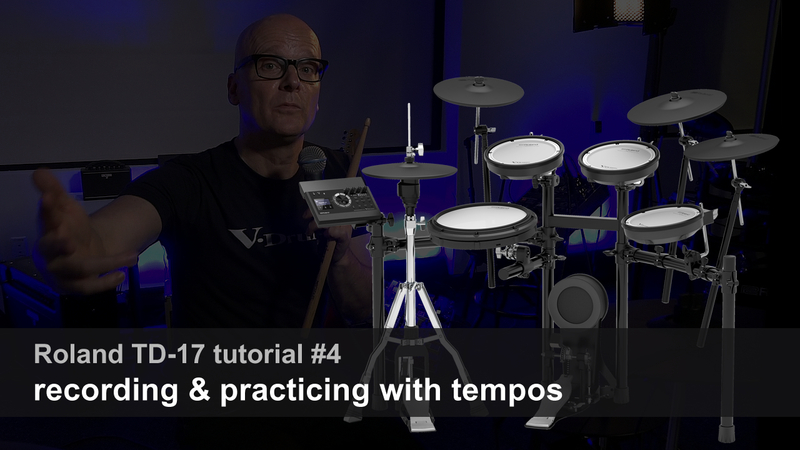 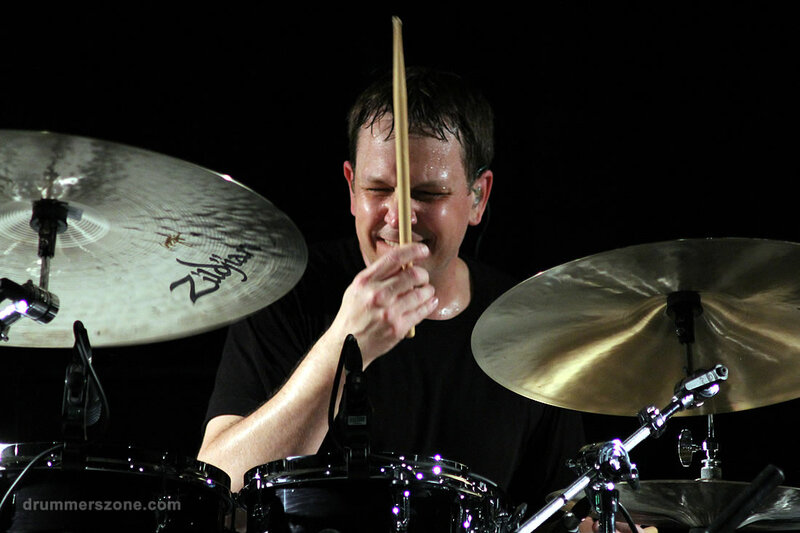 These discs provide an alternate canvas for his acoustic drumset artistry as well as his push for electronic tonal expressions. 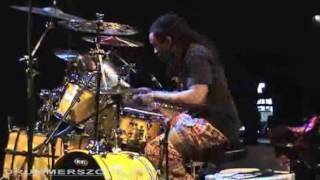 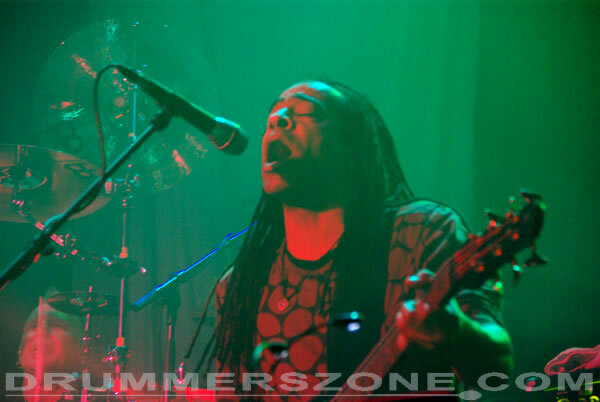 Will, Doug Wimbish, and Vinx joined forces to form the groundbreaking Ambient World Music band JUNGLE FUNK. 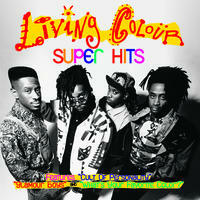 Their live CD Jungle Funk is available on Zebra Records in the States. 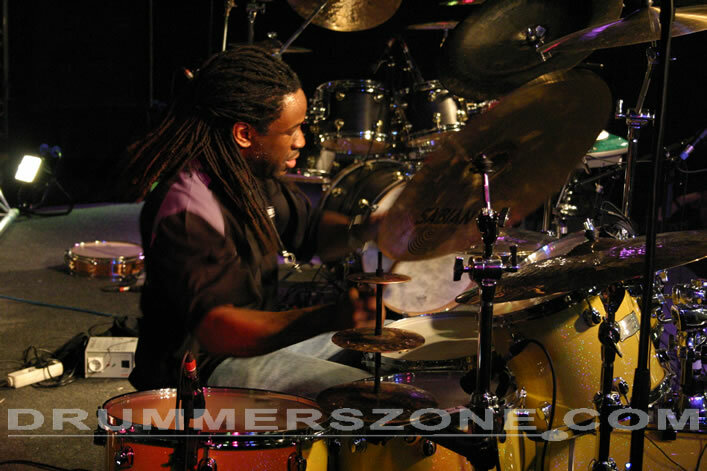 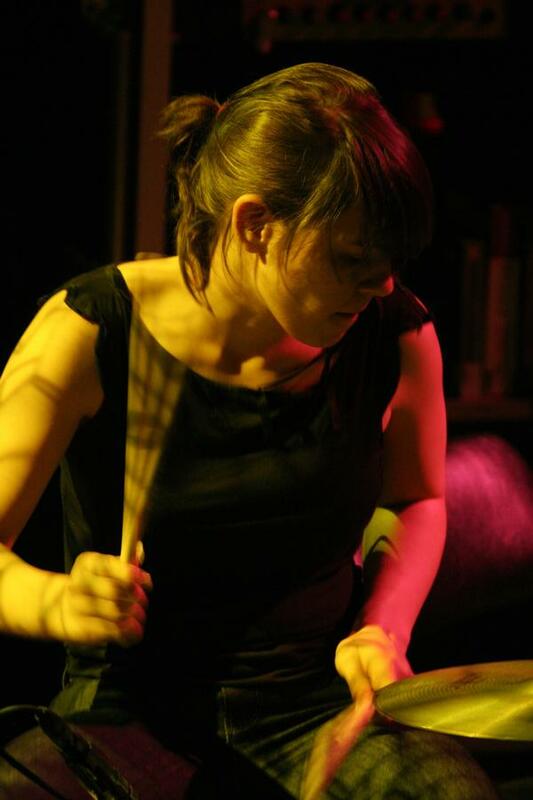 The group combines mastery of technology with musicianship. 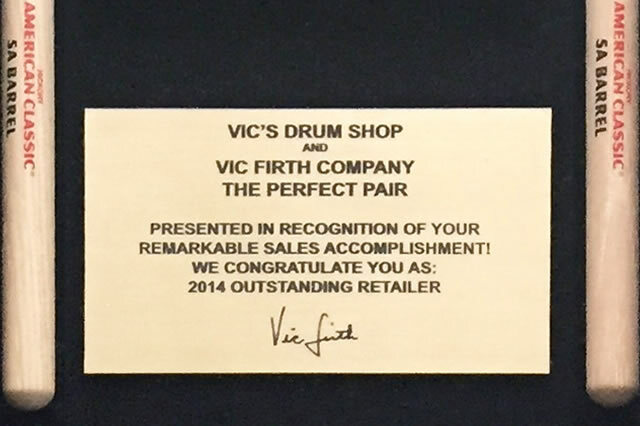 This rare and cutting edge disc was given the Album of the Year mention in Australia. 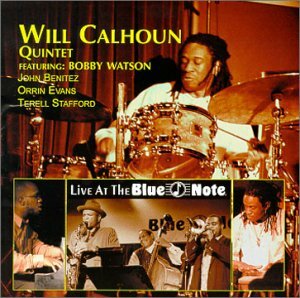 Will's first jazz CD as a bandleader is entitled The Will Calhoun Quintet: Live at the Blue Note. 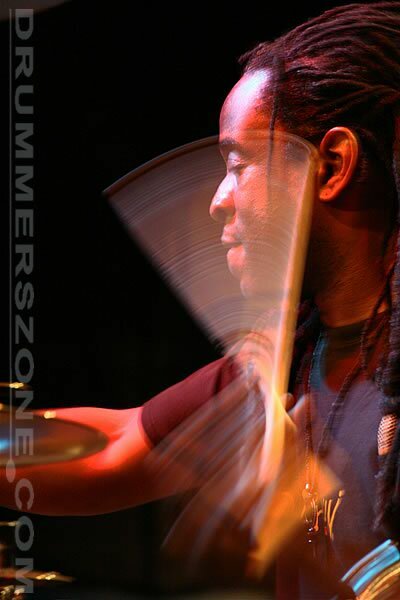 The disc is an adventurous journey through Will's approach to acoustic Jazz, World and Ambient music. 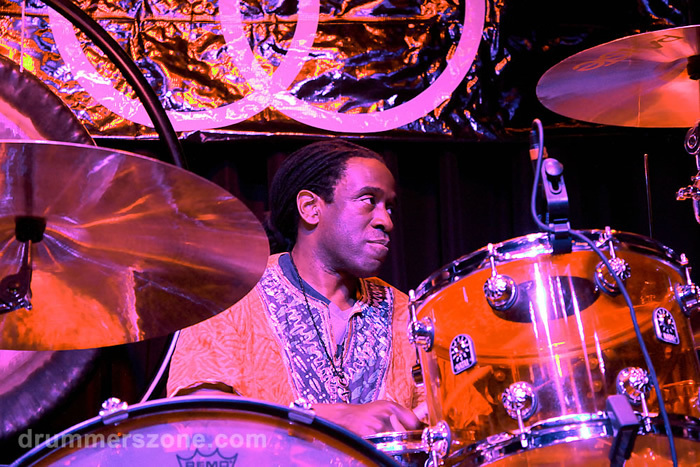 The line-up features Bobby Watson-sax, Terrell Stafford-trumpet, John Benitez-bass and Orrin Evans-piano. 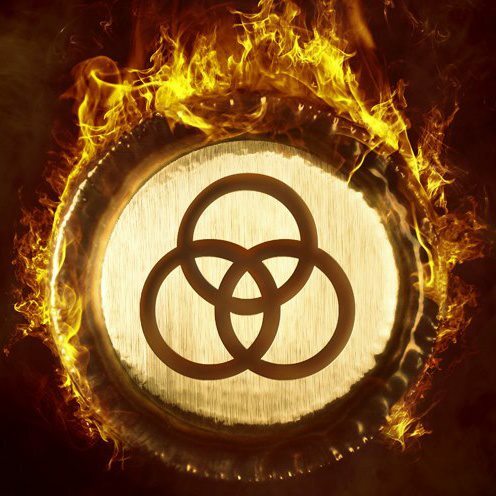 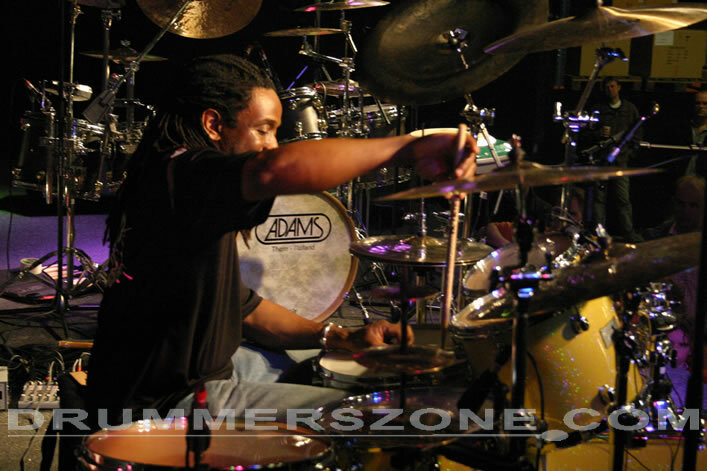 Will's song writing, arrangements and drumming on this CD are ground breaking. 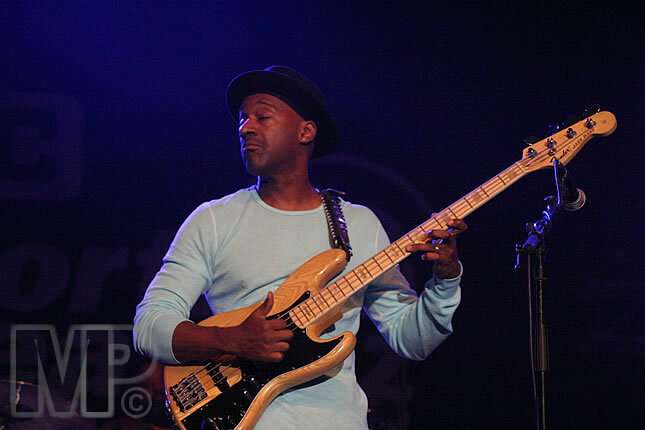 Although this was Will's first attempt at fronting a jazz group, Down Beat Magazine, Jazz Times, and BillBoard Magazine have given the CD top ratings. 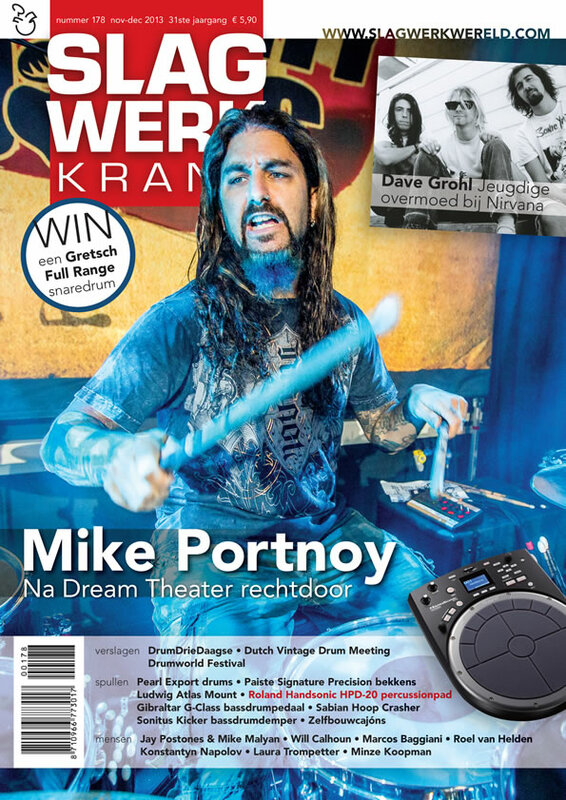 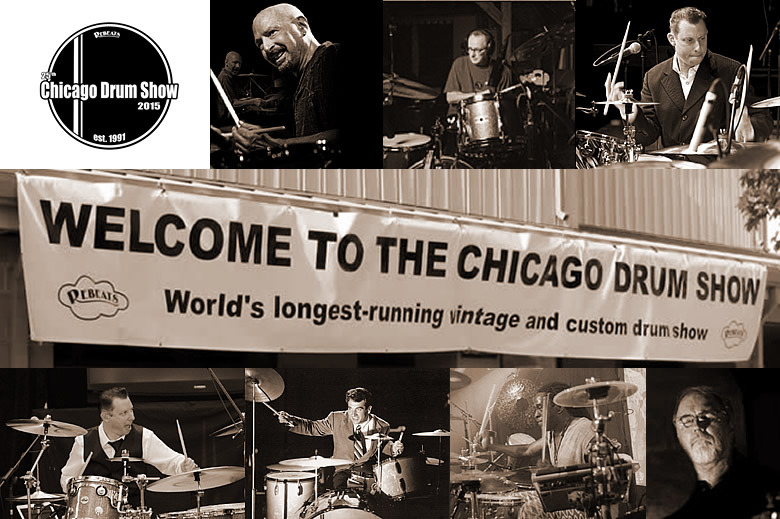 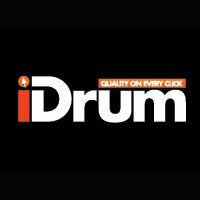 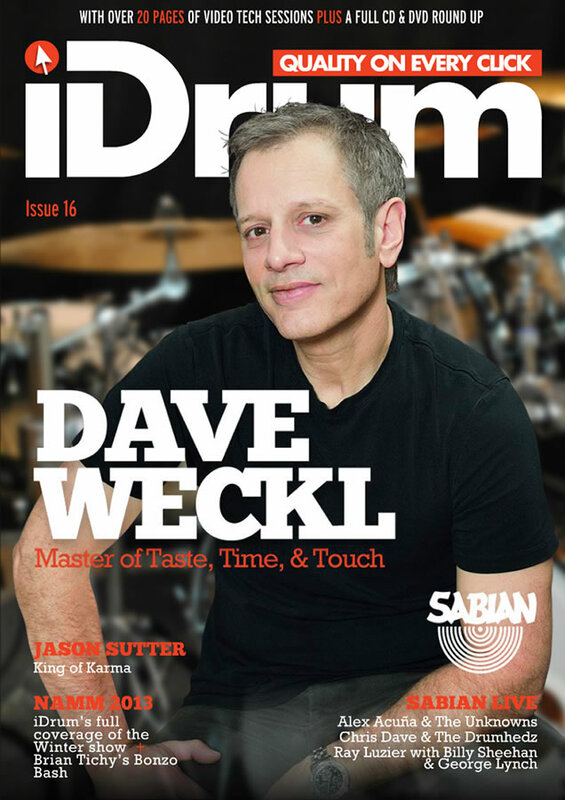 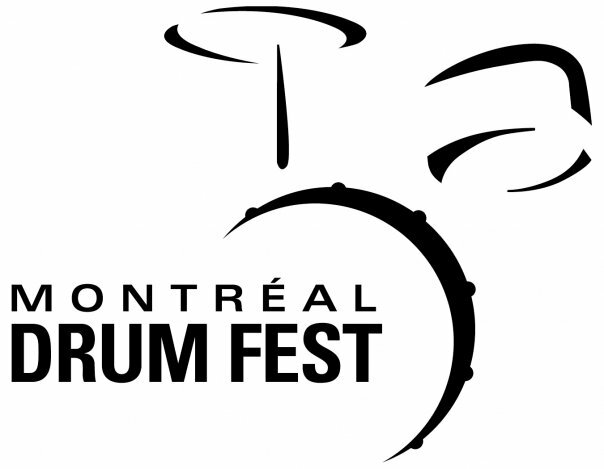 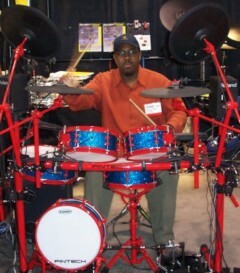 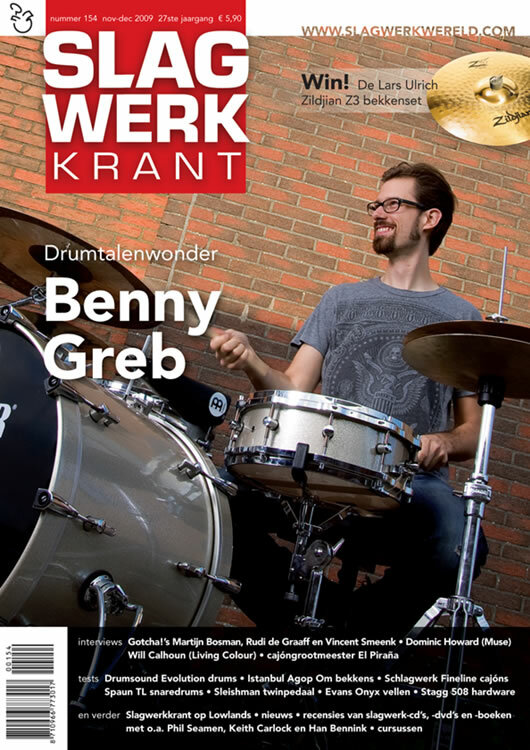 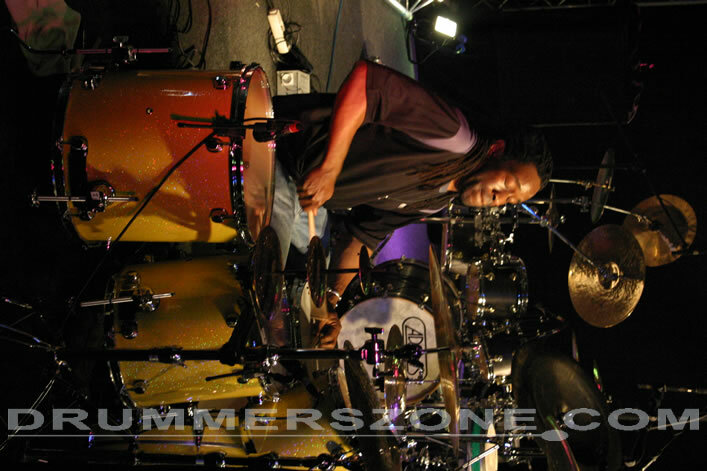 Drum Magazine's readers poll voted Will's CD 1st runner up for Drummer/Band leader. 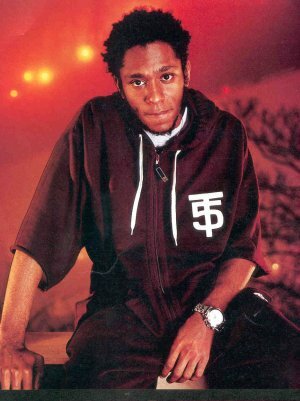 Will has worked with rapper Mos Def, both as a producer and performer. 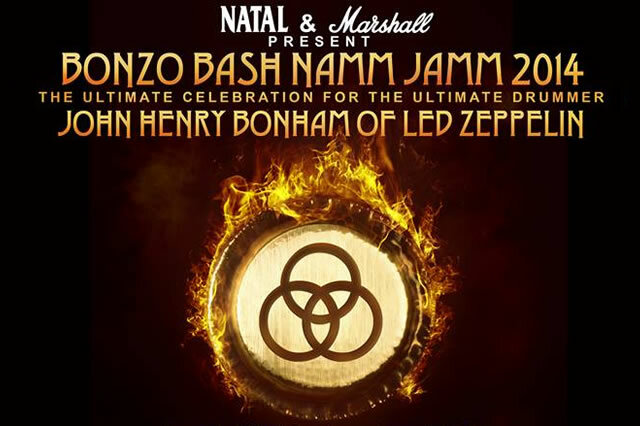 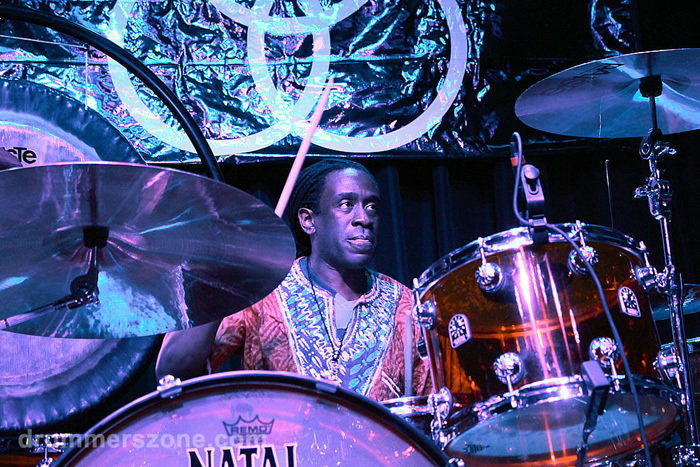 Will brought together an all-star lineup for this project, featuring artists like: Bernie Worrell on keys, Doug Wimbish on bass, Doc Know, the guitarist from Bad Brains, and other special guests. 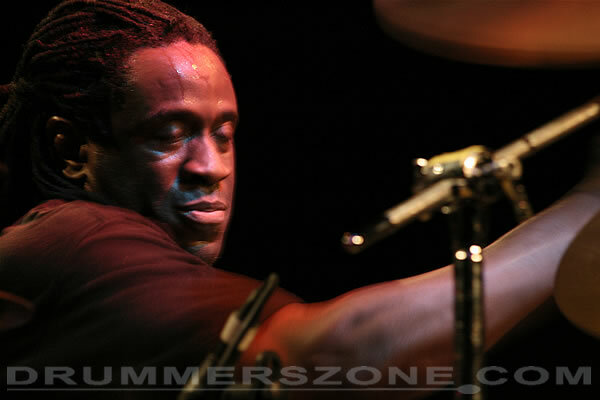 The Band is titled Black Jack Johnson, and several tracks from this band were featured on Mos Def's CD The New Danger. 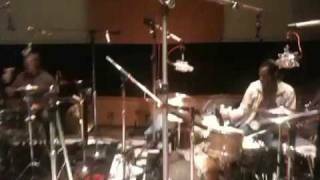 Keep your eyes and ears open for a full length Black Jack Johnson CD. 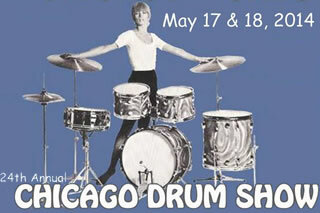 It will be in the usual cutting-edge Calhoun fashion. 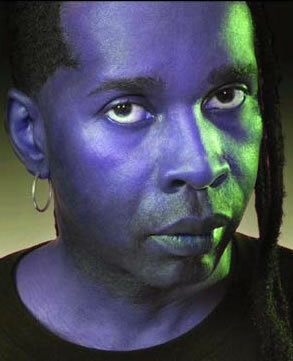 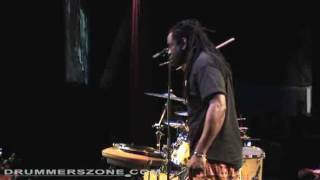 For all you Living Colour fans, the band is touring again and working on new material. 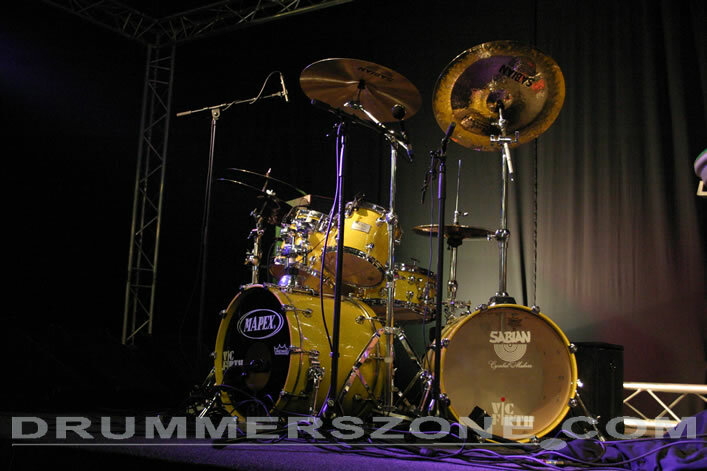 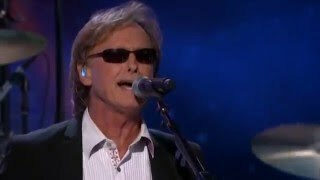 They have performed regional U.S. tour, as well as tours in South America, Australia and Europe over the past several years. 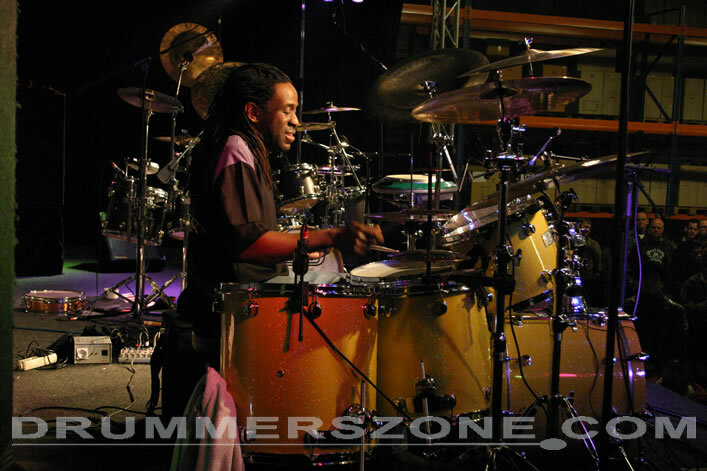 Check the Tour Schedule page often for updates. 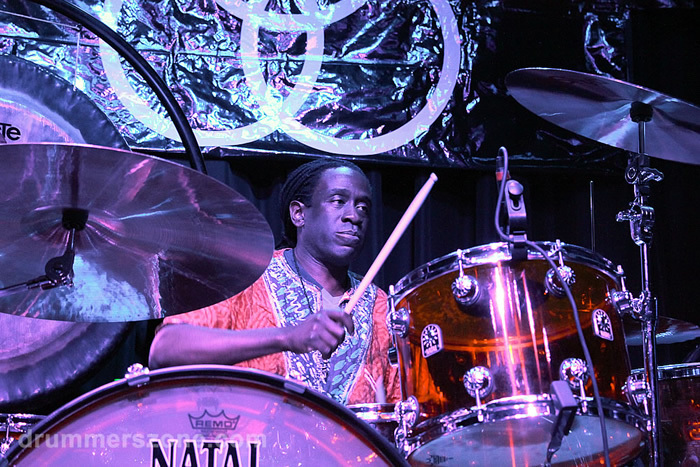 One of Will's latest creations is his follow-up release on the Halfnote label: Native Lands. 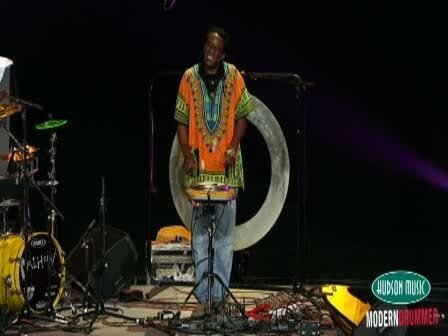 Native Lands can be described as Jazz meets World, meets trance-inducing Urban music. 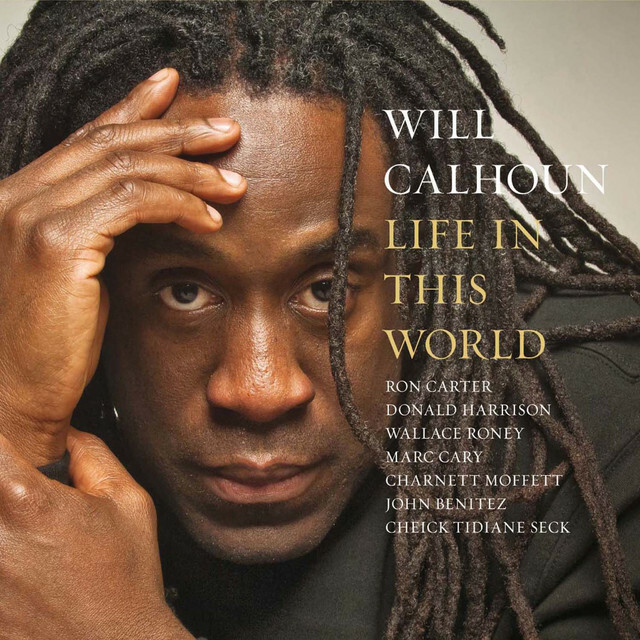 This is a double package - CD/DVD in which Calhoun marries his far reaching interests in a genre-bending collection that taps key expressionists from various backgrounds. 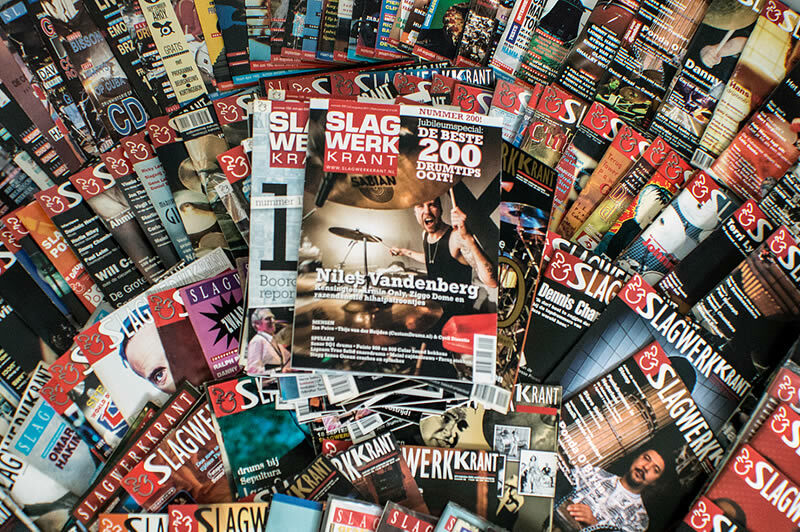 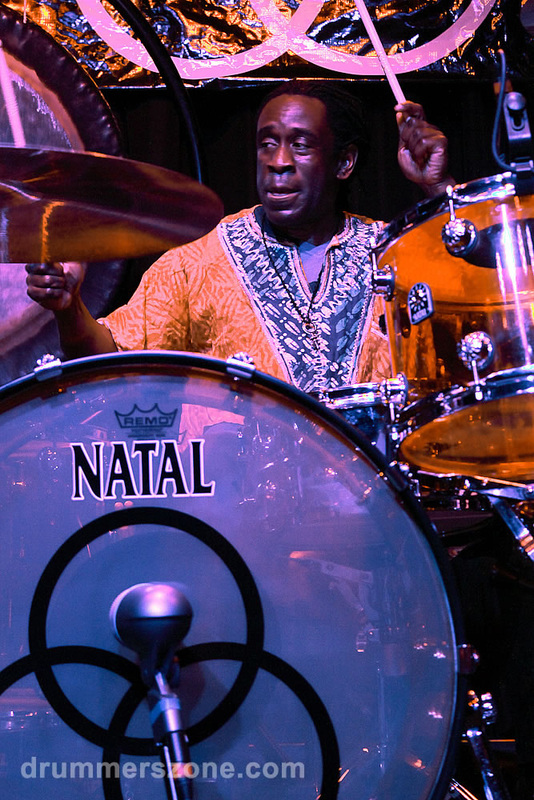 Among those contributing are Pharoah Sanders, Mos Def, Buster Williams, Stanley Jordan, Kevin Eubanks, Marcus Miller and Wallace Roney, as well as Nana Vasconcelos from Brazil and Cheick Tidiane Seck from Mali. 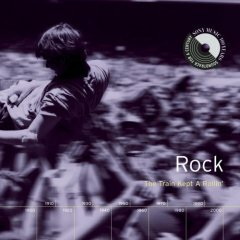 The album includes a DVD with over ninety minutes of music videos and documentary materials that chronicle the last ten years of Will's life and travels. 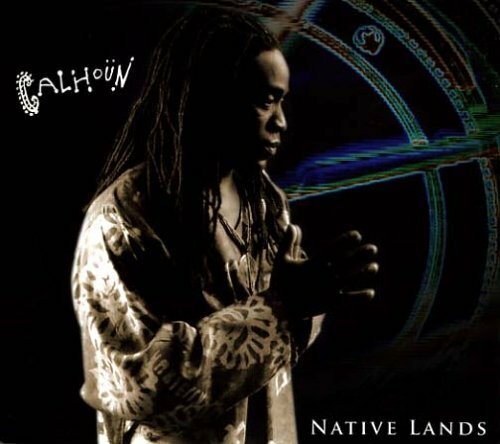 Will is presently touring in support of this project with his group, variously called "AZA" or "Native Lands", which features various artists from the album and other outstanding musicians. 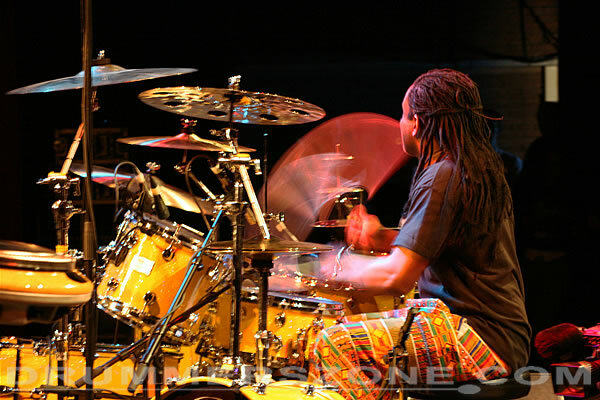 Not many artists have the vision and artistic energy to be Grammy winners and contribute to so many genres: jazz, rock, hip-hop, ambient, et al, while concurrently producing, touring, creating new projects, working on films, and continually pushing the envelope. 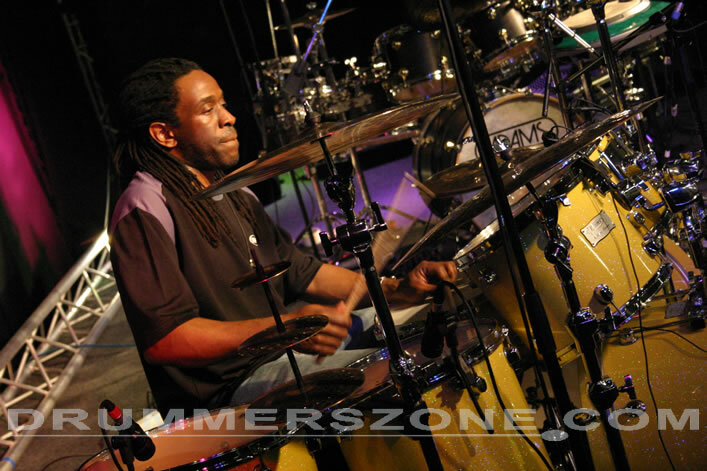 Will Calhoun has this creative vision, and he is doing an extraordinary job keeping music a spiritual and motivating force in his life. 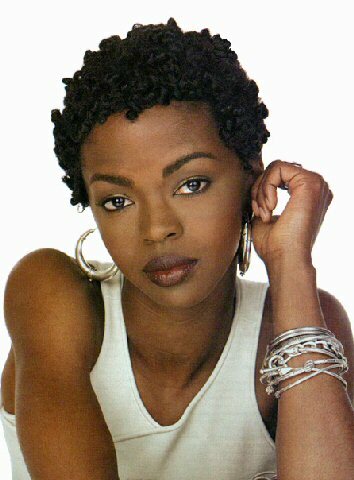 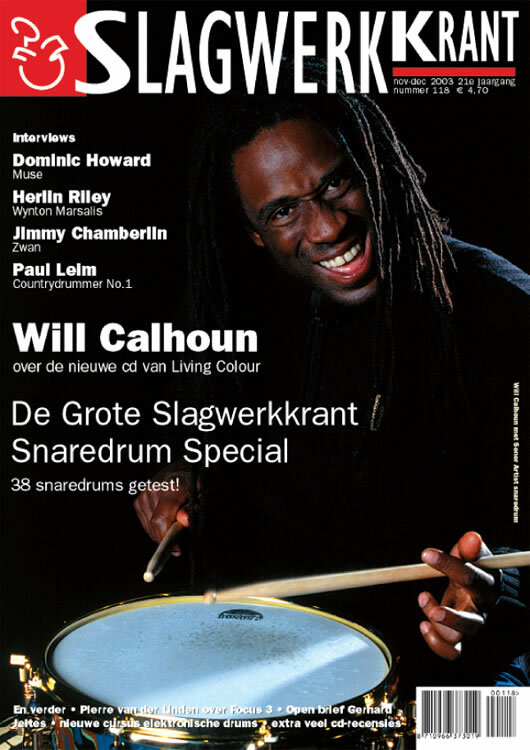 William (Will) Calhoun is born 22 July 1964. 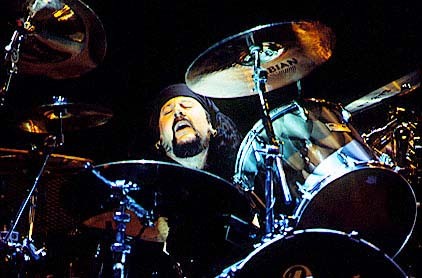 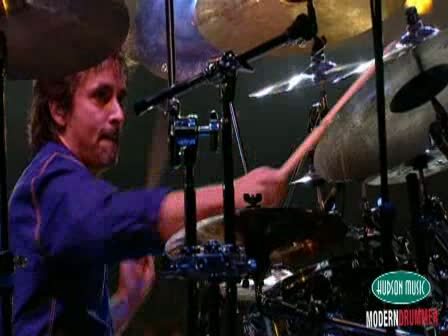 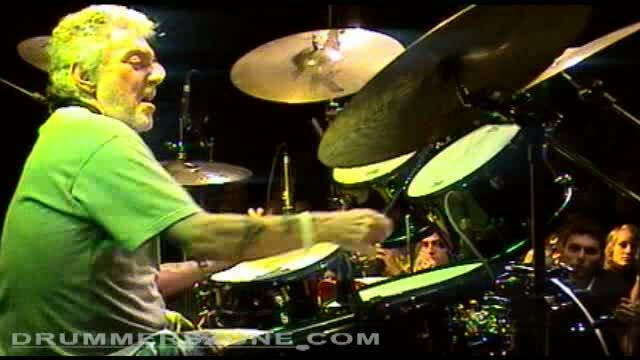 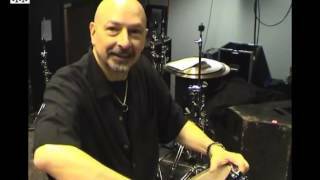 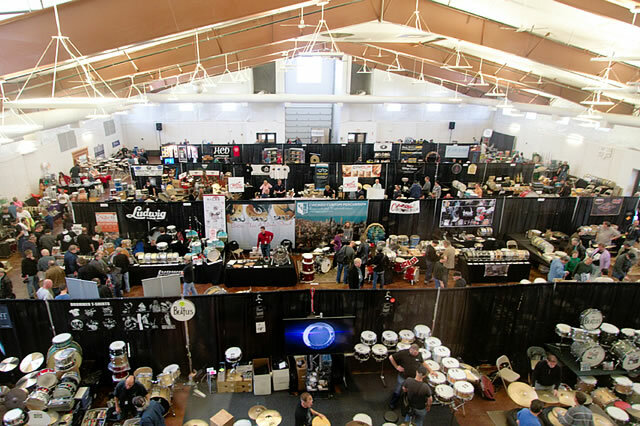 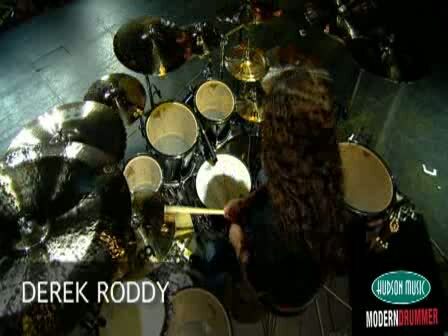 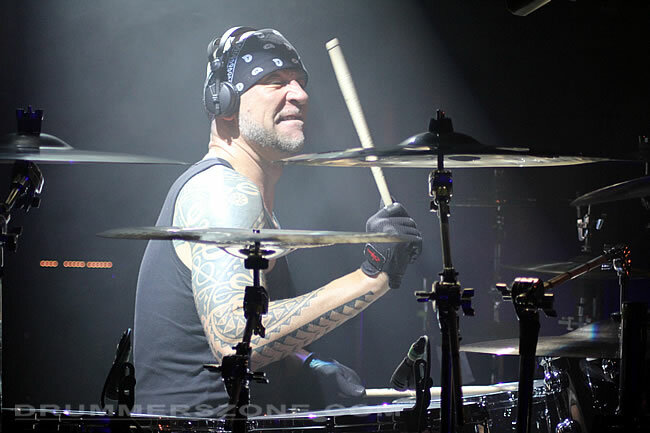 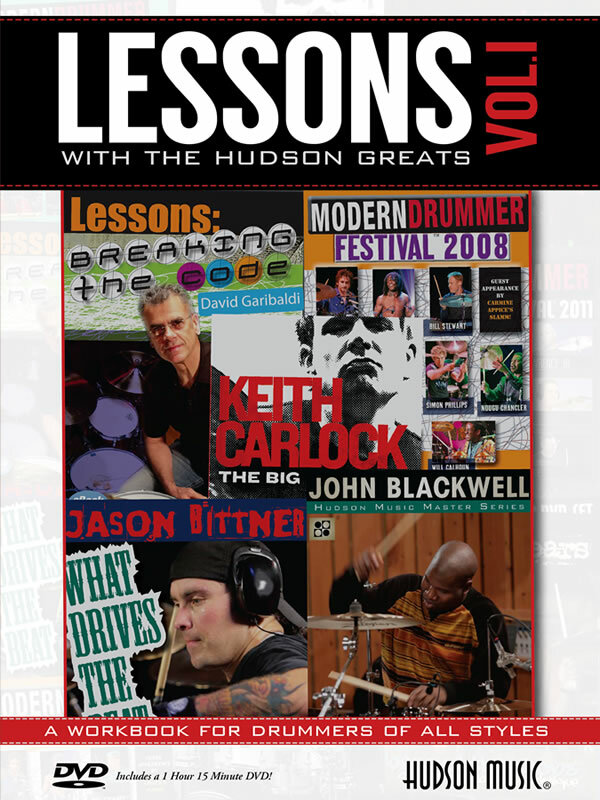 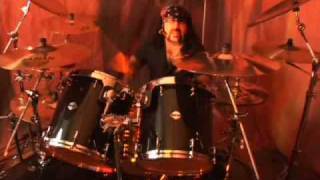 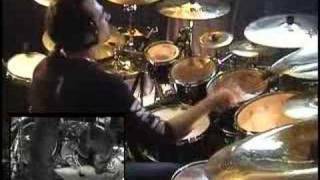 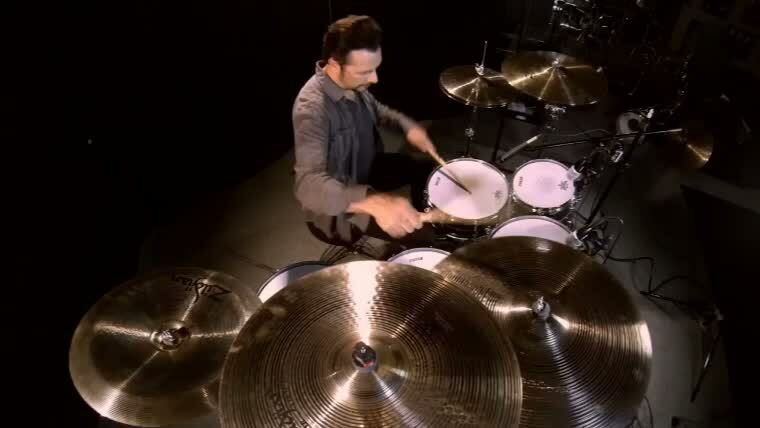 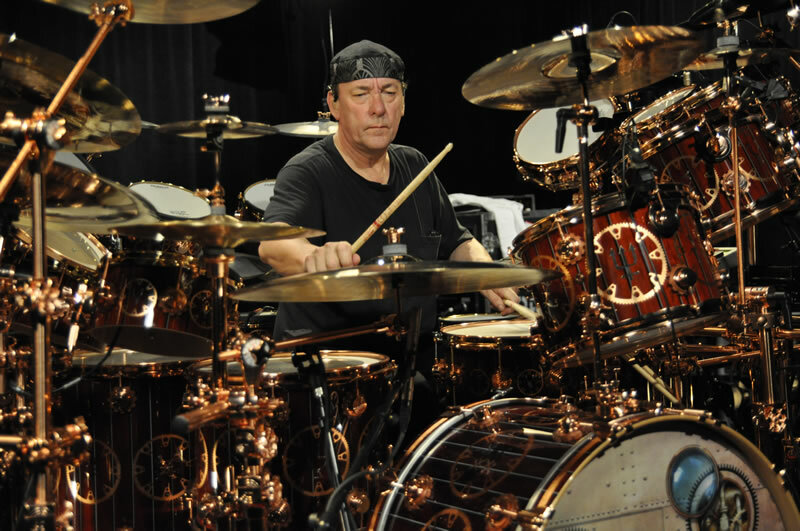 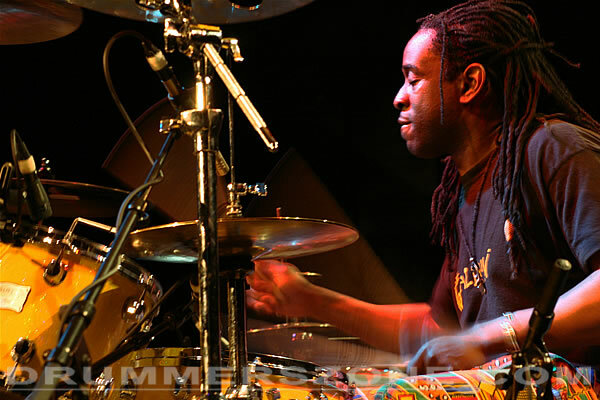 The widely acclaimed drummer from the Bronx, New York, graduated from the Berklee School of Music in Boston, where he received a Bachelors degree in Music Production and engineering. 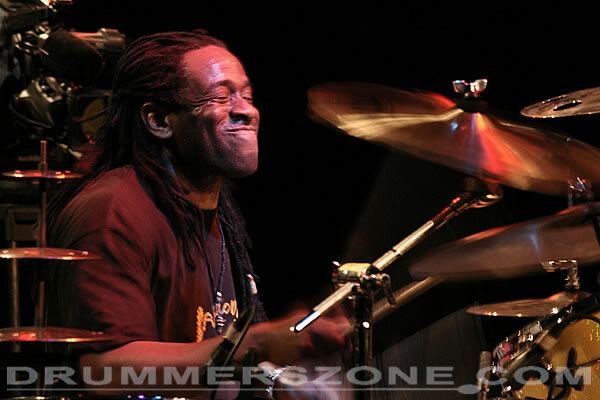 He was also the recipient of the prestigious Buddy Rich Jazz Masters Award for outstanding performance by a drummer. 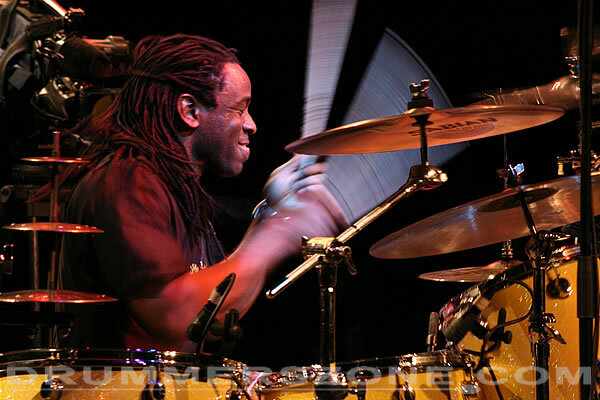 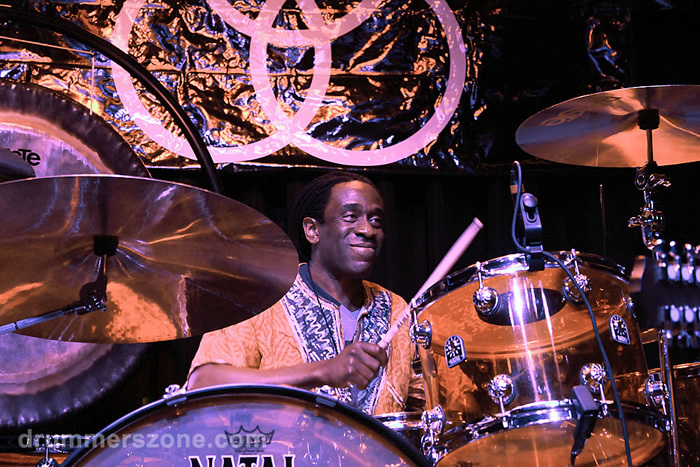 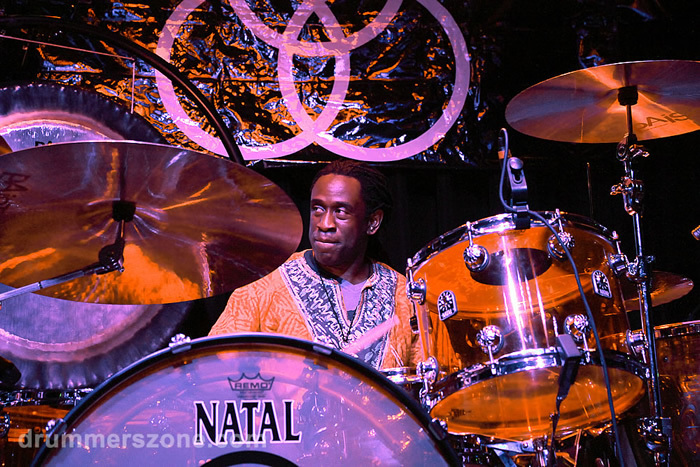 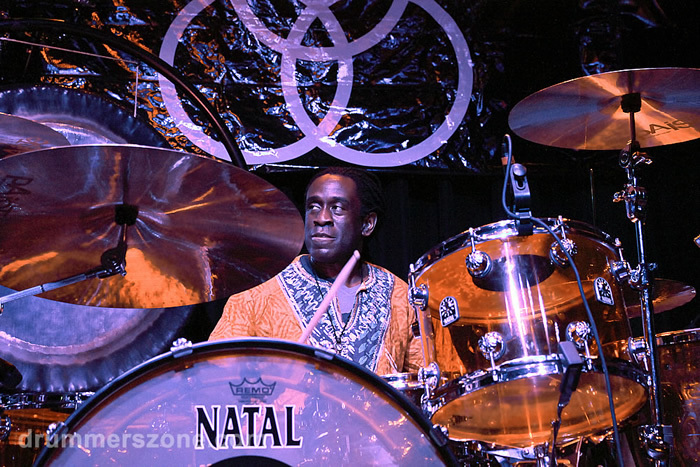 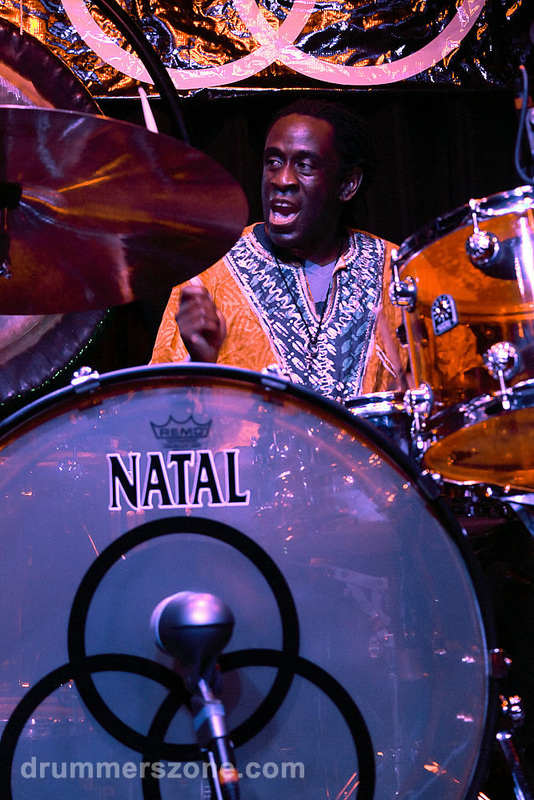 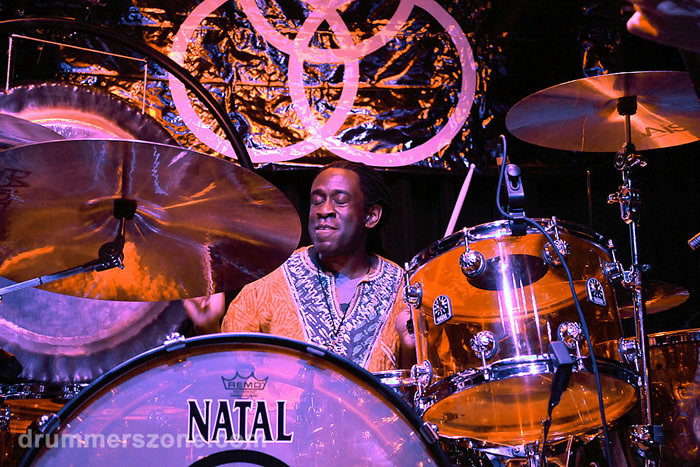 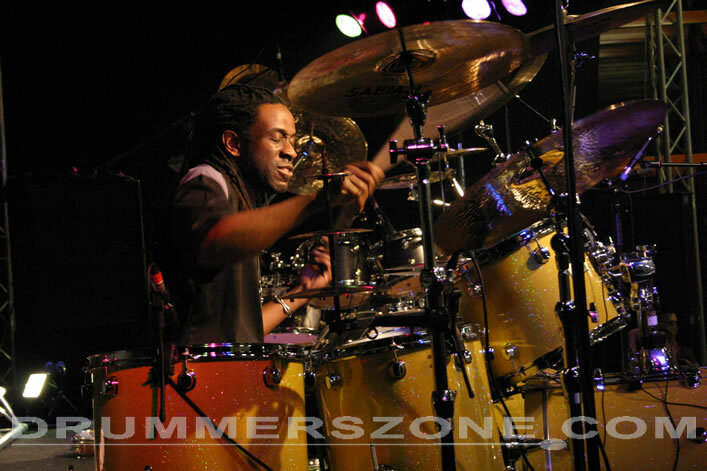 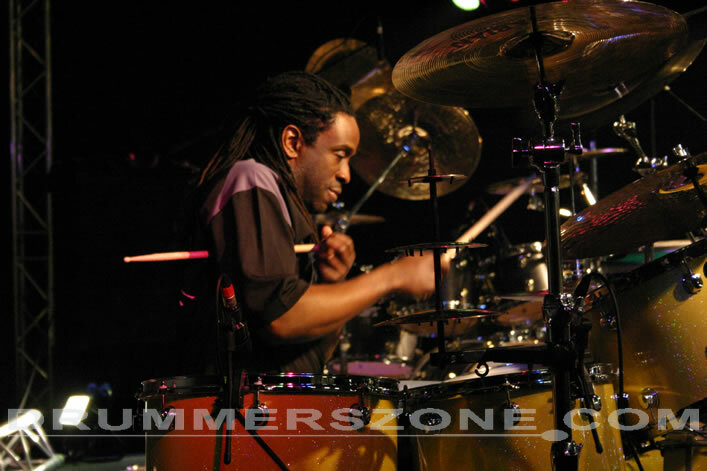 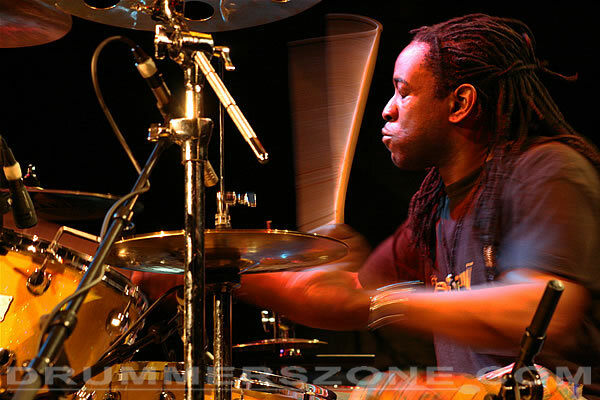 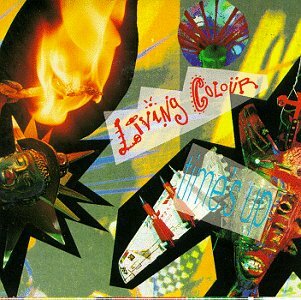 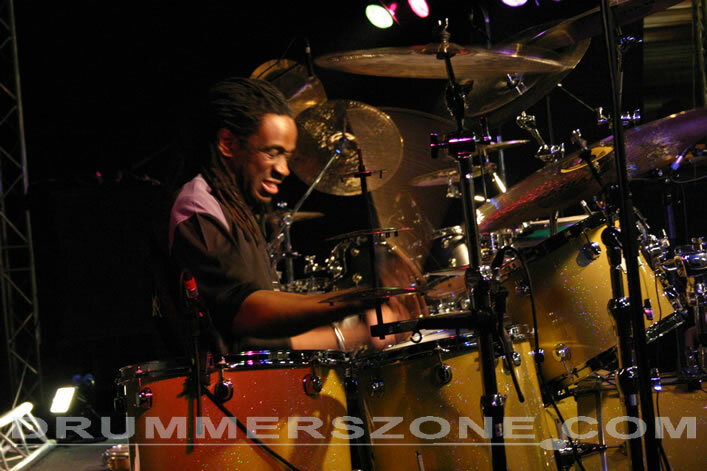 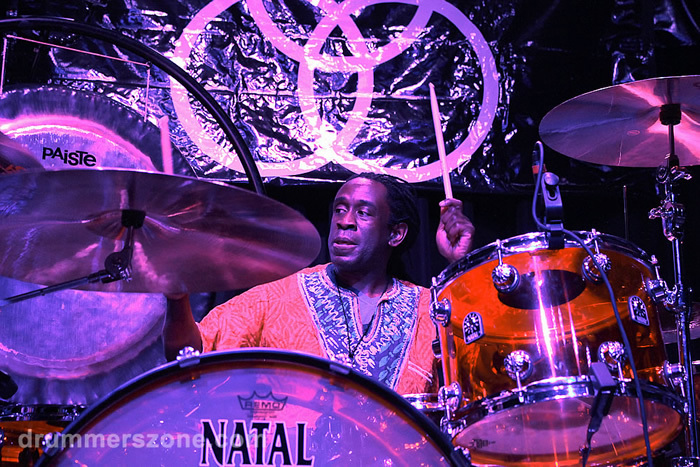 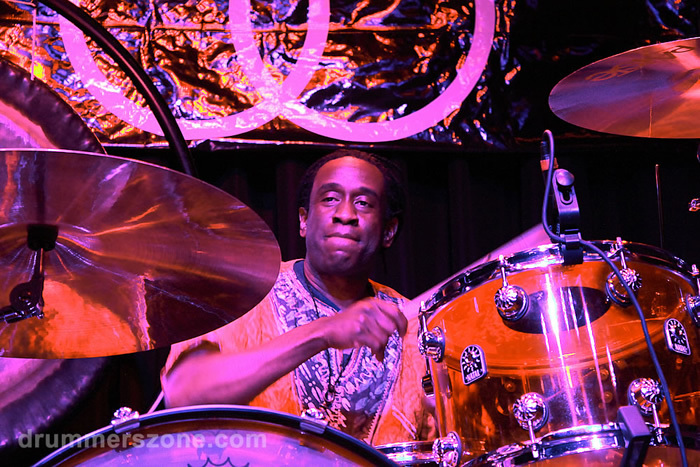 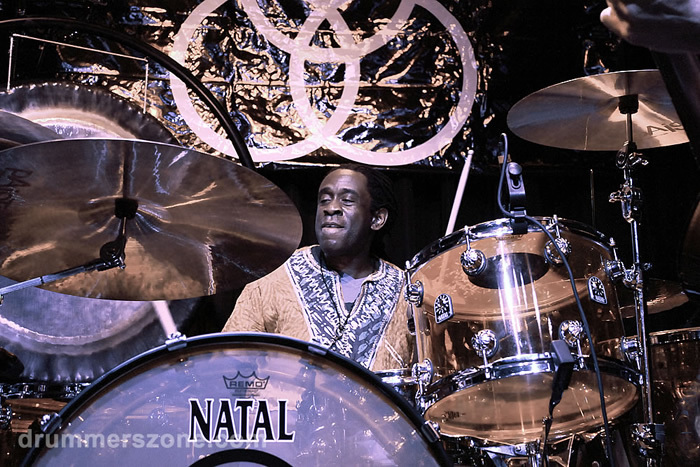 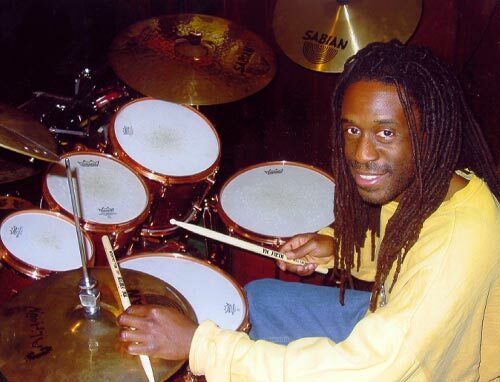 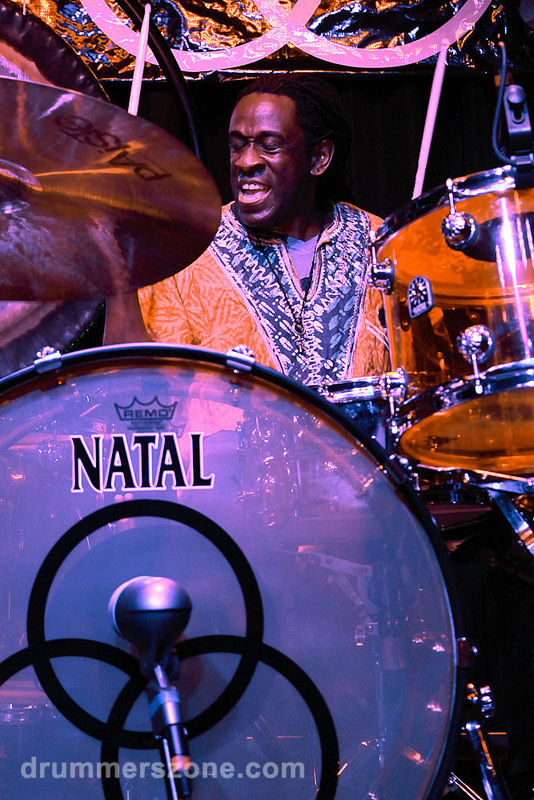 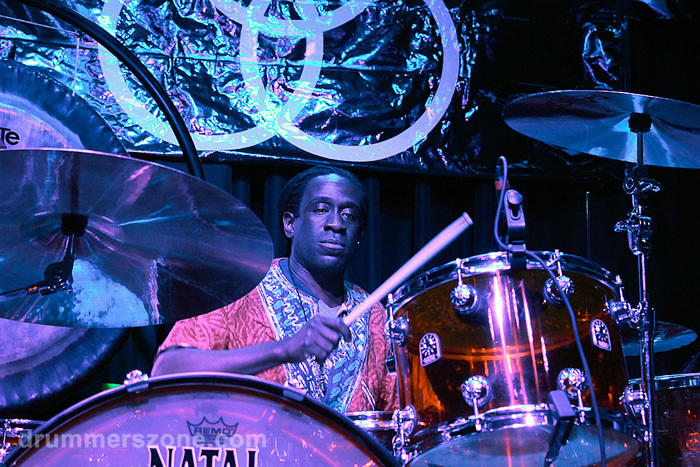 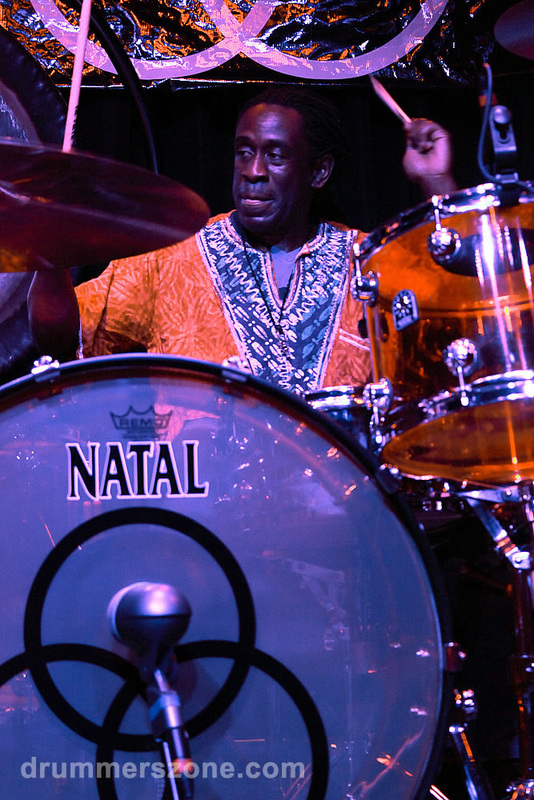 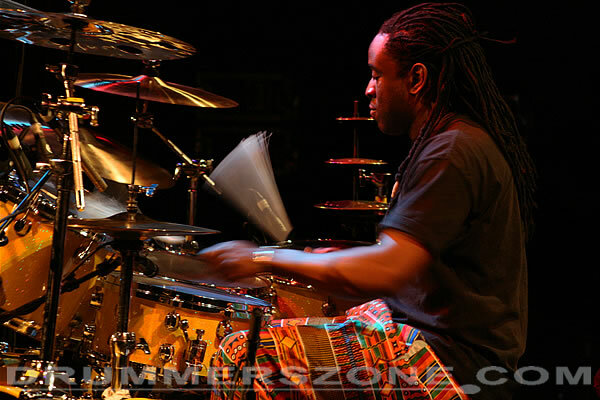 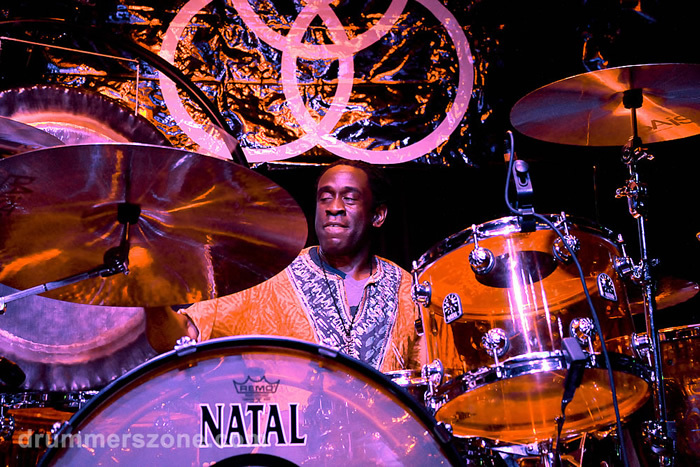 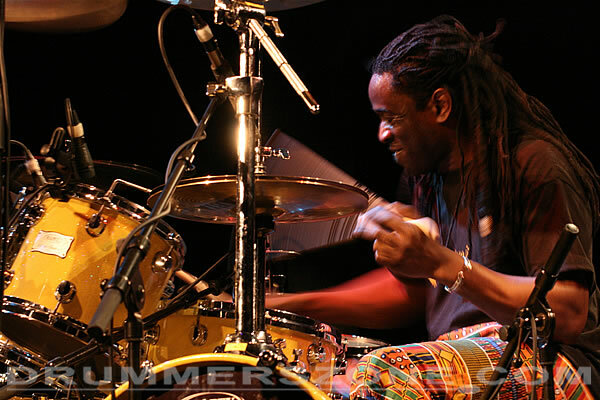 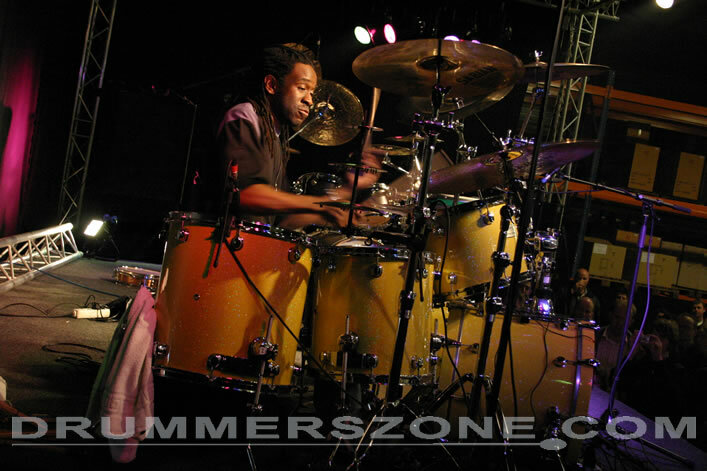 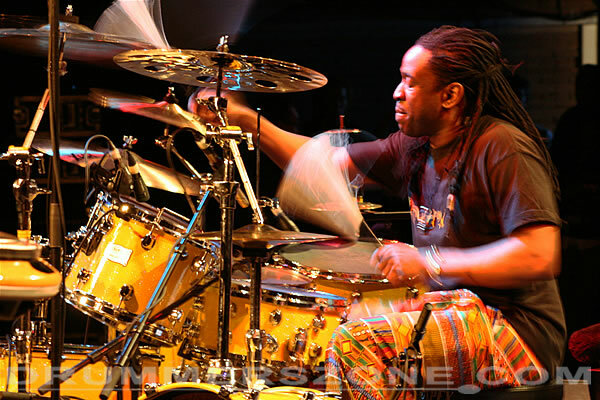 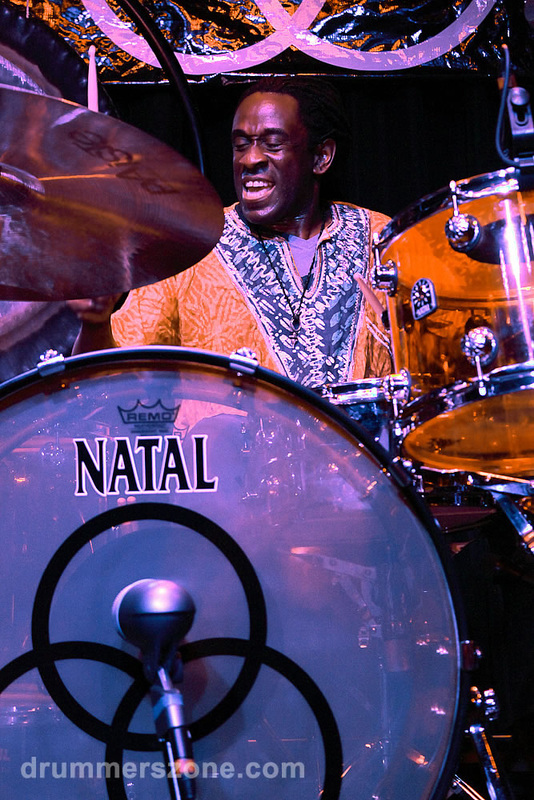 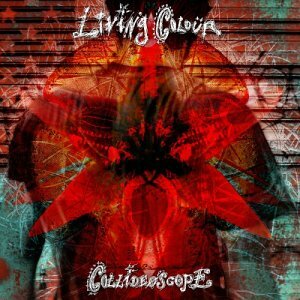 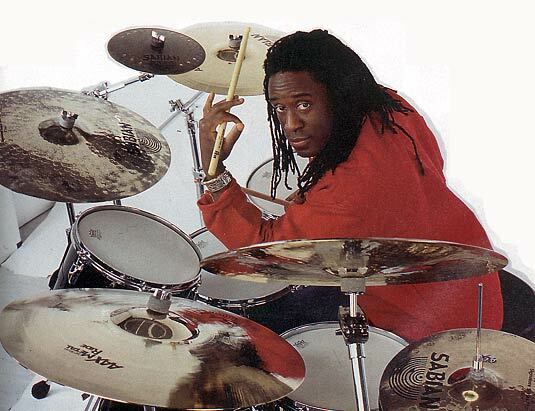 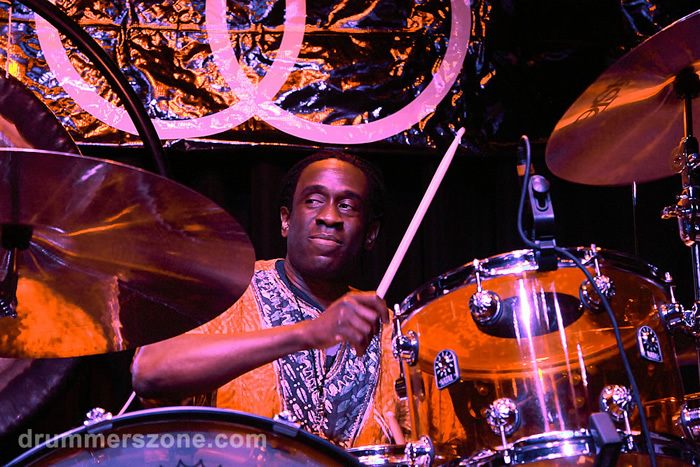 Will Calhoun's unique blend of improvisational and hard rock drumming can be found on each of Living Colour's four Epic releases: the ground breaking multi-platinum debut, Vivid, the critically acclaimed sophomore LP, Time's Up, the 1991 EP, Biscuits, and the latest, Stain. 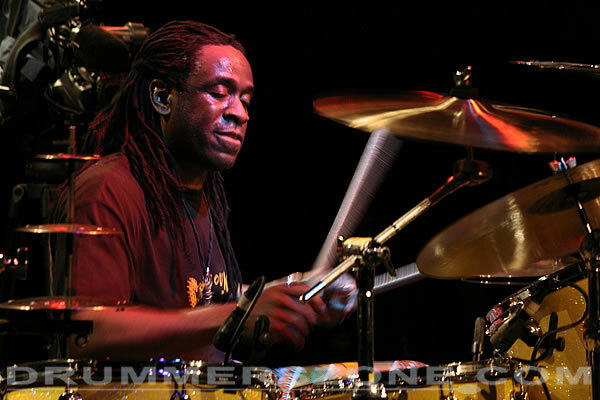 A prolific song writer, Will has co-written many Living Colour compositions and wrote the critically acclaimed song, Pride, on the Time's Up album and Nothingness on the Stain album. 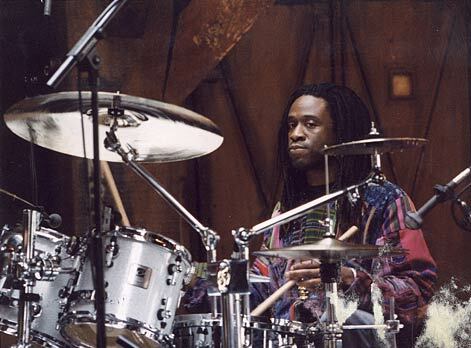 As a member of Living Colour, Will received a Grammy Award in 1989 for Best Hard Rock Performance by a group and another Grammy in 1990 for Best Hard Rock Performance. 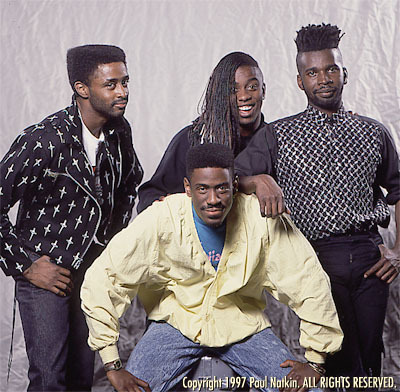 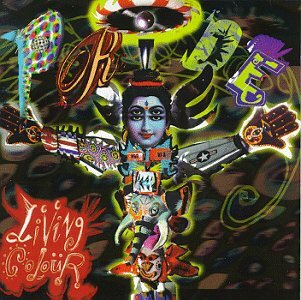 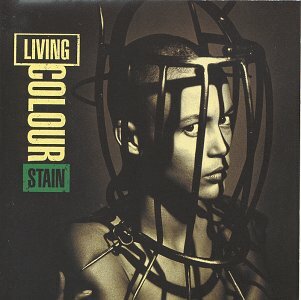 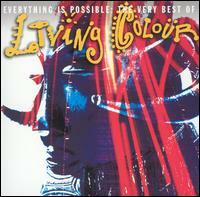 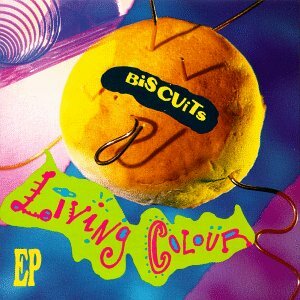 Living Colour also won an International Rock Award In 1991 for Best Rock Band. 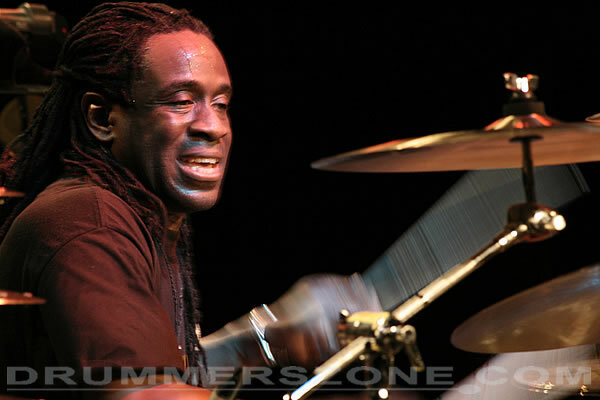 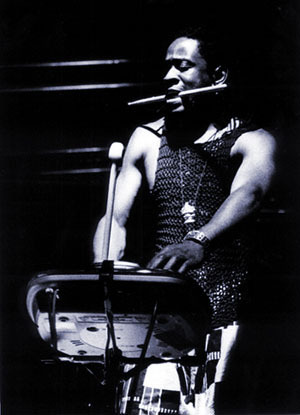 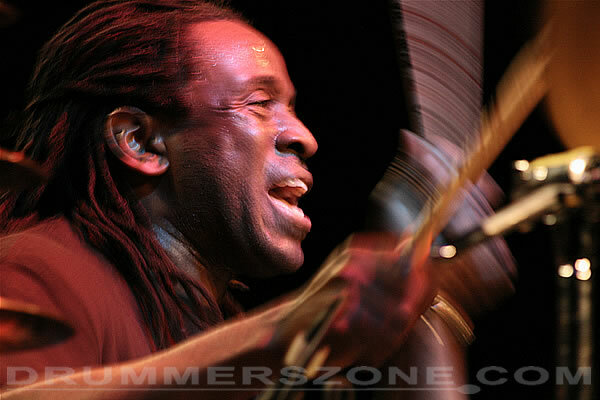 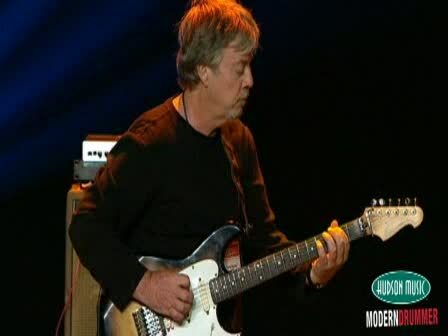 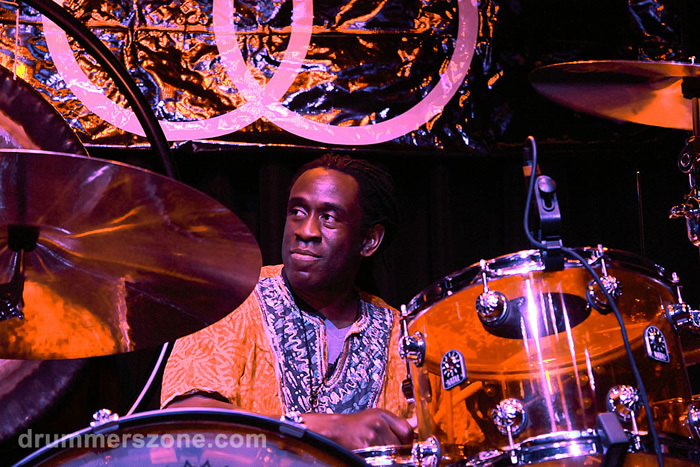 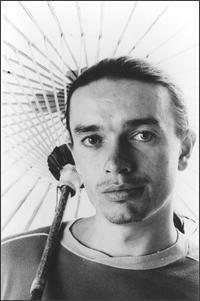 In addition to his work with Living Colour, Will Calhoun has recorded and/or toured with artists such as BB King, Mick Jagger, Jaco Pastorious, Harry Belafonte, Pharoah Sanders, Jack Dejohnette, Paul Simon, Lou Reed, The Allman Brothers, Lauryn Hill, Marcus Miller, Dr. John, Carly Simon, Herb Alpert, Rolling Stones guitarist Ron Wood, and recorded with rappers Run-DMC and Public Enemy. 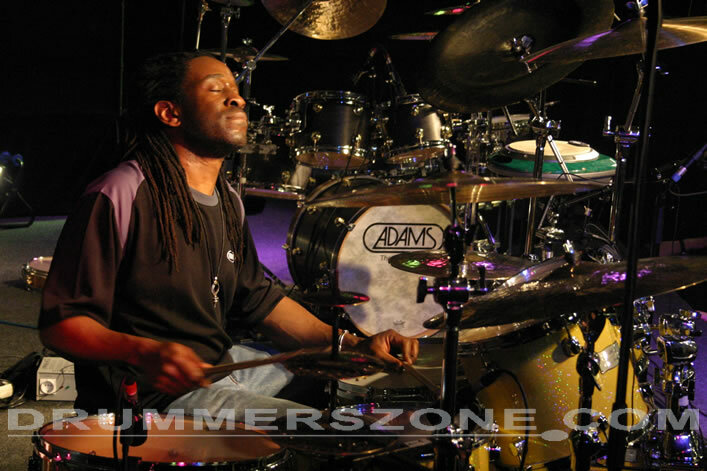 As a producer, player, and songwriter, Will has worked on Herb Alpert's Grammy-nominated CD, Colors. 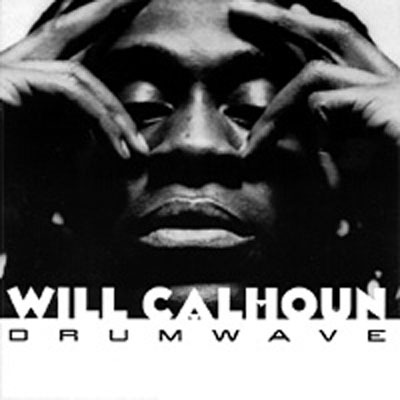 During Will Calhoun's down time he has managed to record two solo projects "Housework" and "Drum Wave". 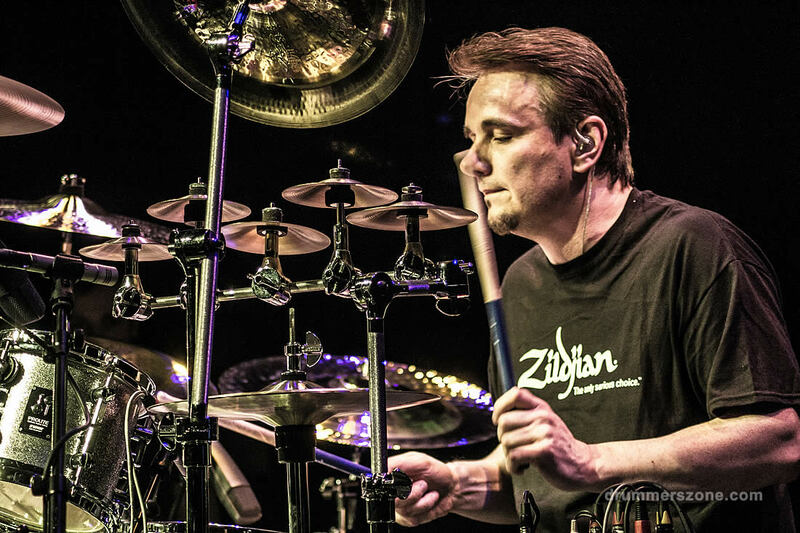 These discs provide an alternate canvas for his acoustic drumset artistry as well as his push for electronic tonal expressions. 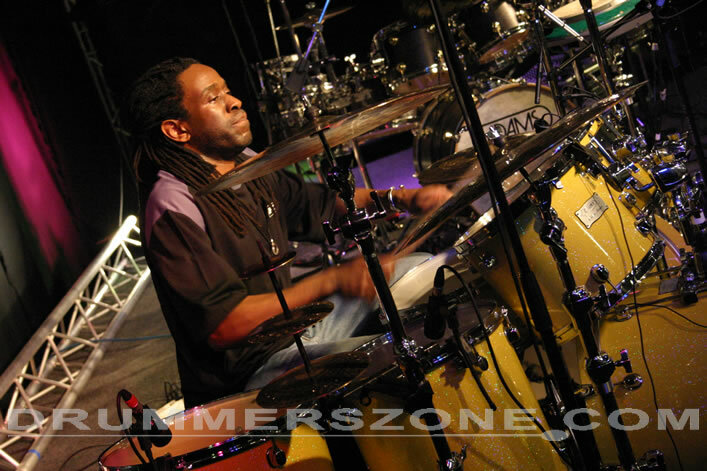 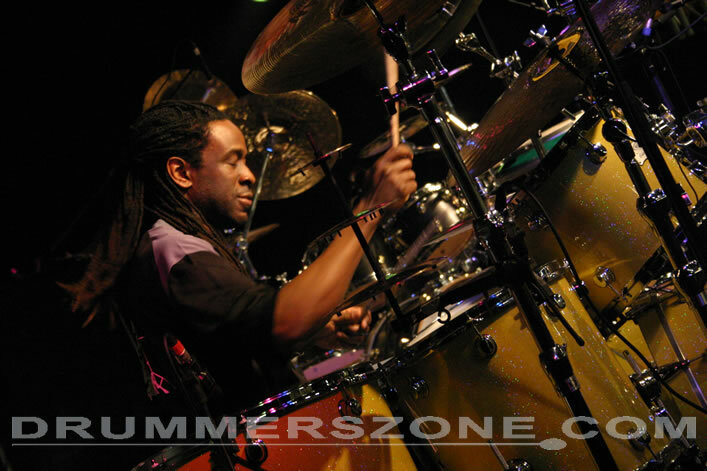 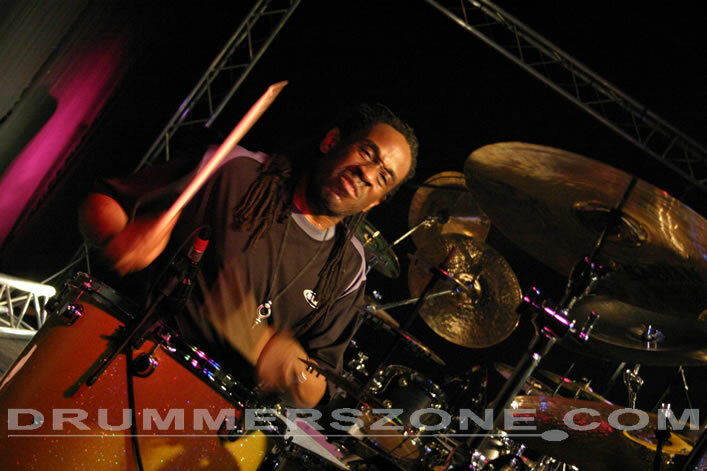 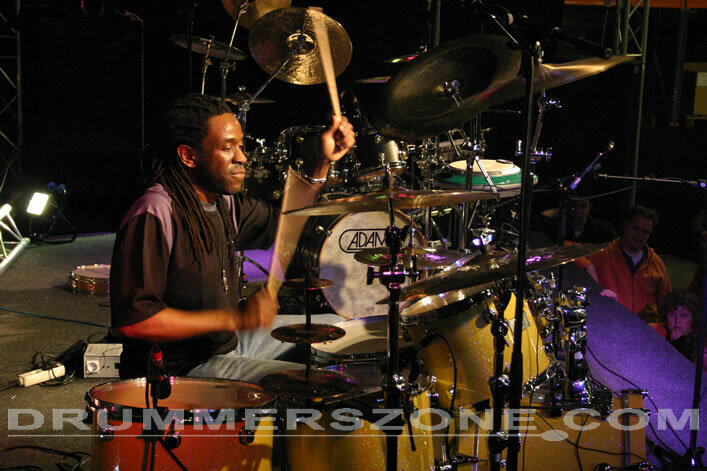 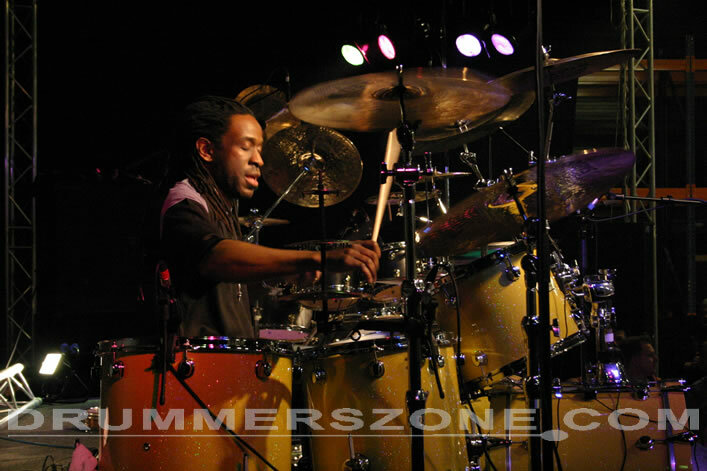 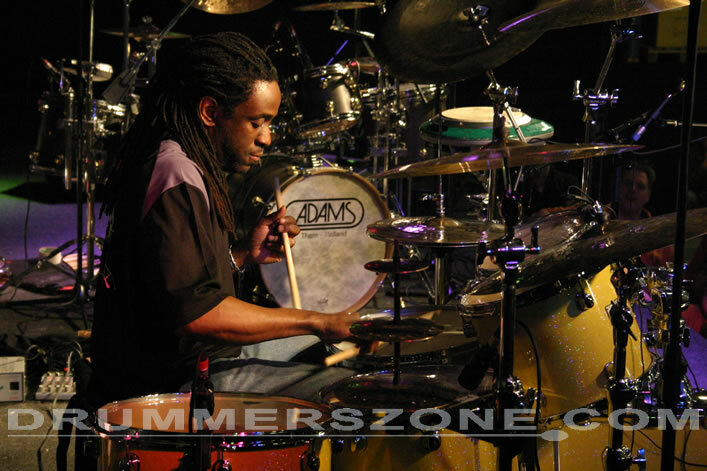 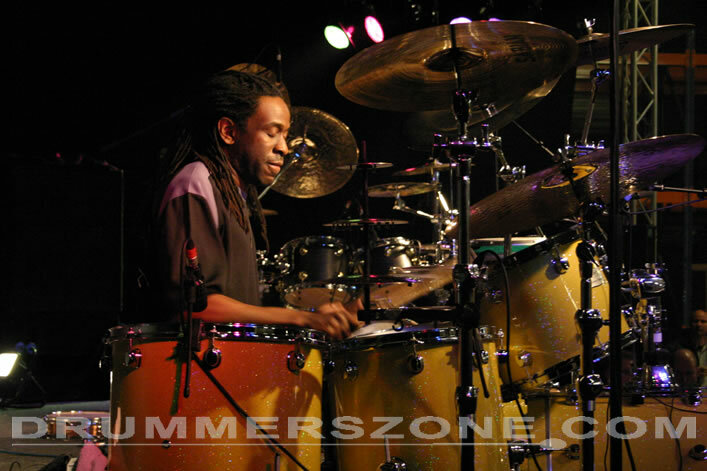 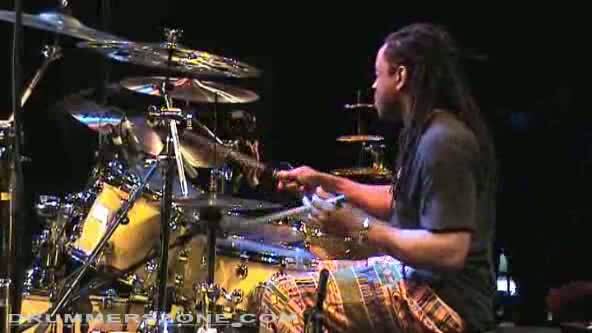 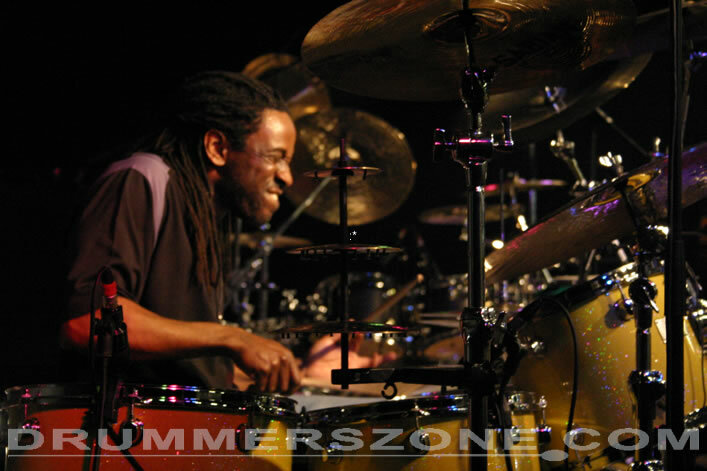 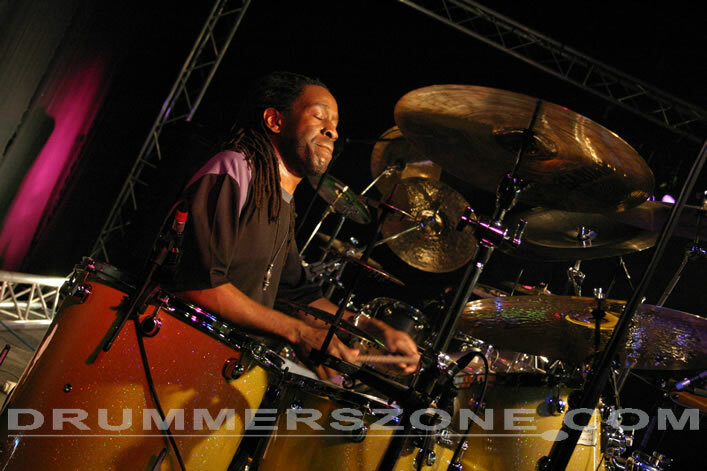 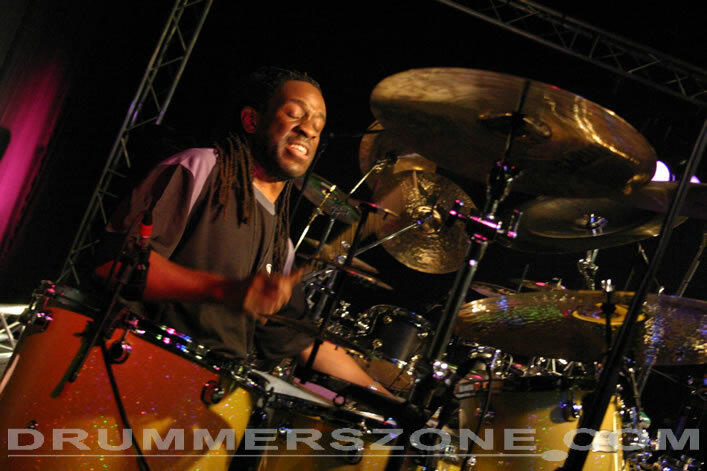 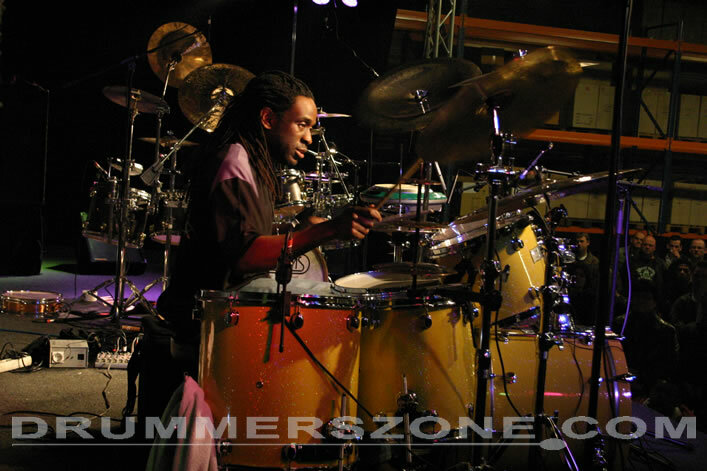 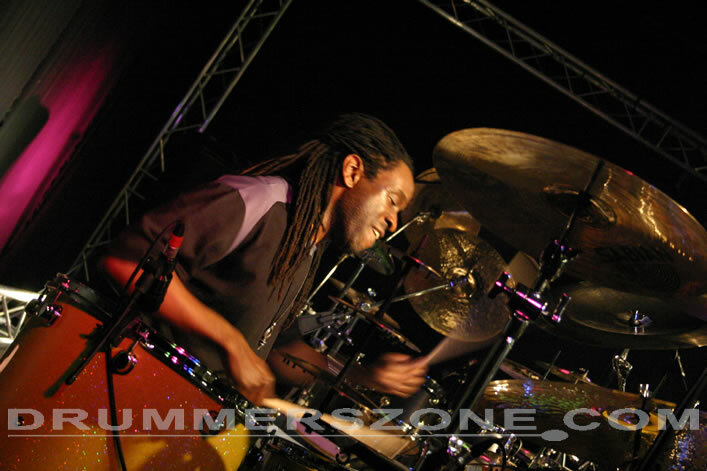 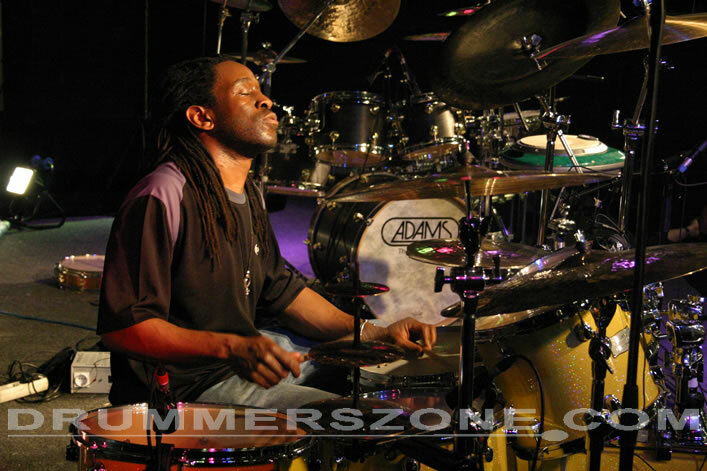 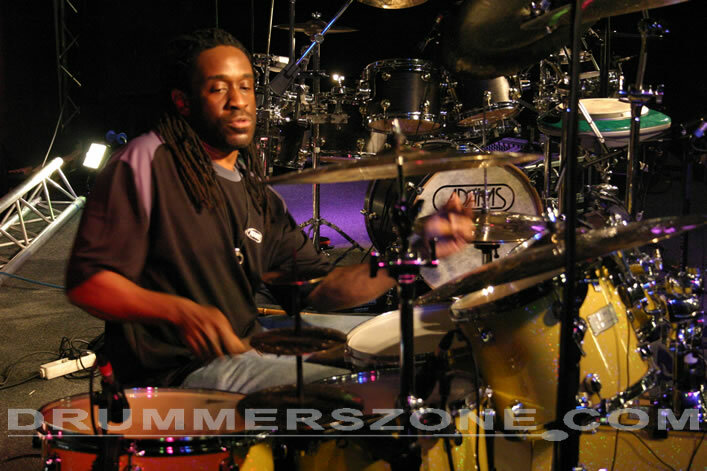 Will, Doug Wimbish, and Vinx joined forces in 1995-96 to form the groundbreaking Ambient World Music band Jungle Funk. 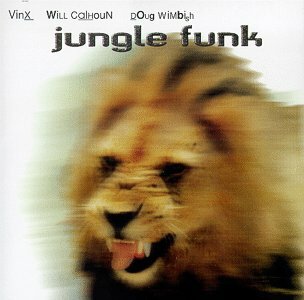 Their live cd 'Jungle Funk' is available on Zebra Records in the United States. 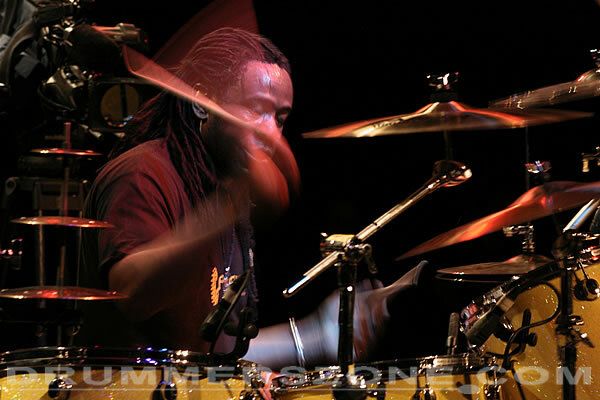 The group combines mastery of technology with musicianship. 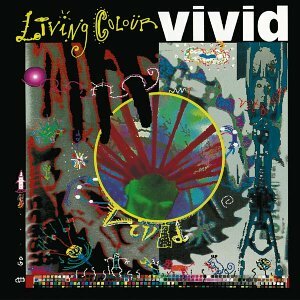 This rare and cutting edge disc was given the Album of the Year mention in Australia. 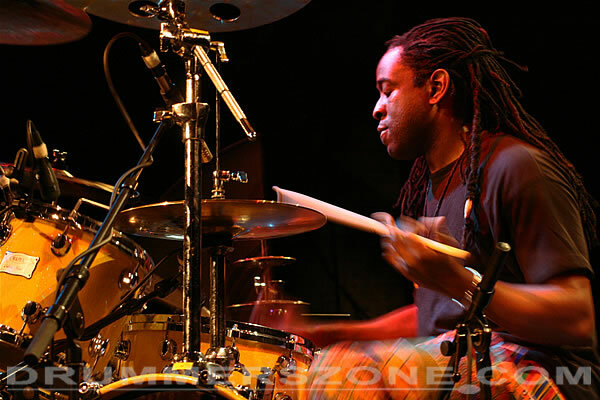 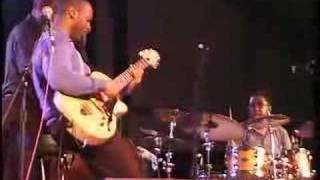 Recently Will Calhoun has released his first solo jazz CD as a leader: The Will Calhoun Quintet: Live at the Blue Note. 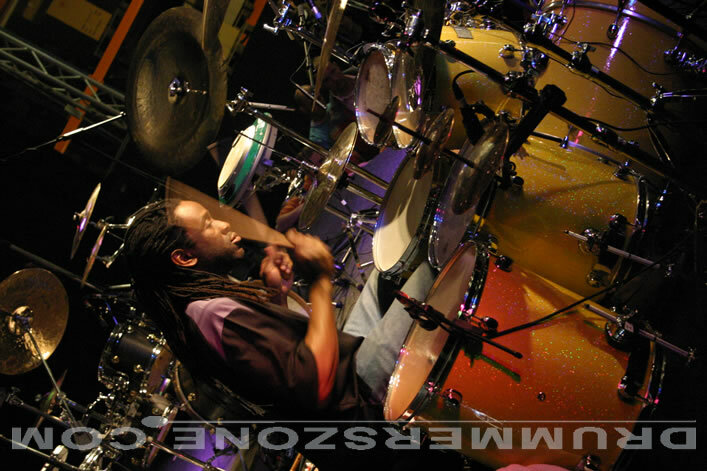 The disc is an adventurous journey through Will's approach to acoustic Jazz, World and Ambient music. 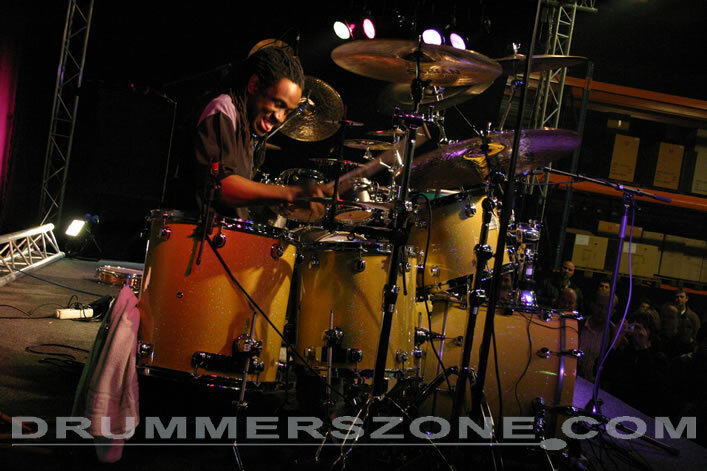 Will's song writing, arrangements and drumming on this CD are ground breaking. 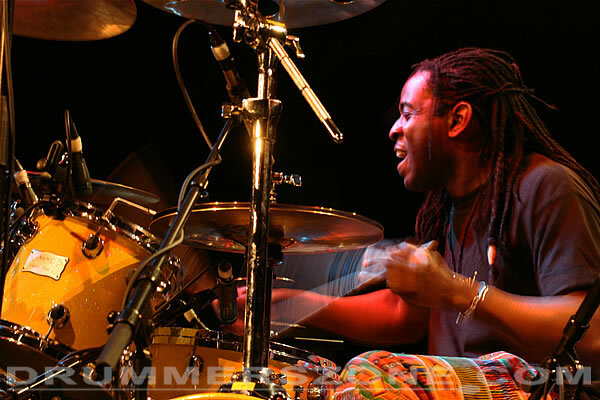 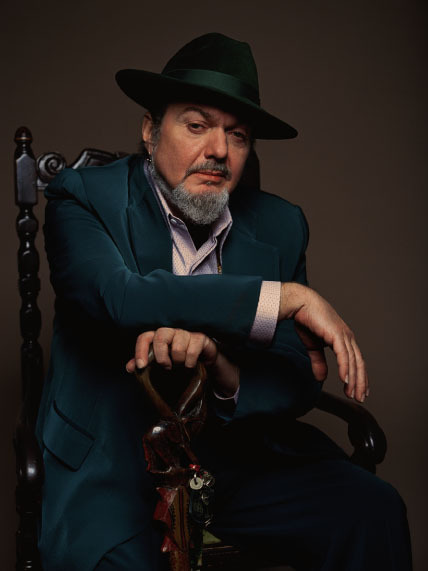 Although this is Will's first attempt at fronting a jazz group, Down Beat Magazine, Jazz Times, and BillBoard Magazine have given the CD top ratings. 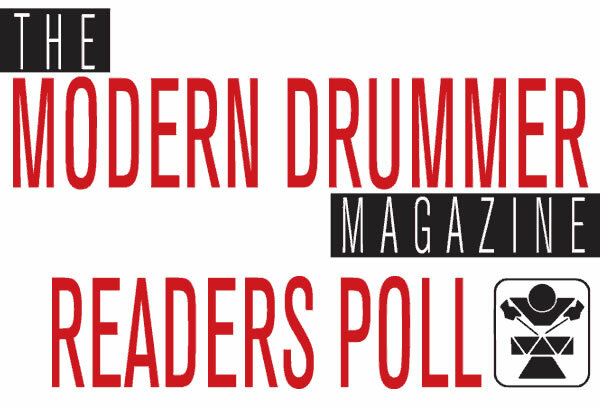 Drum Magazine's readers poll voted Will's CD 1st runner up for Drummer/Band leader. 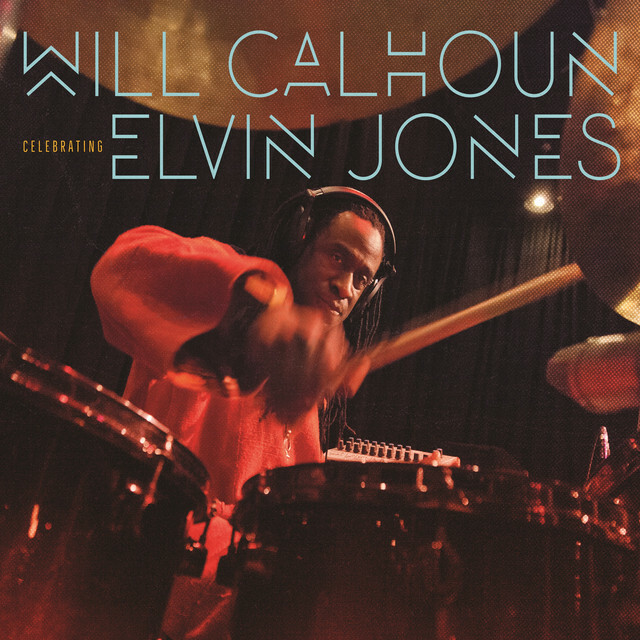 Presently, Will Calhoun is working with rapper Mos Def, both as a producer and performer. 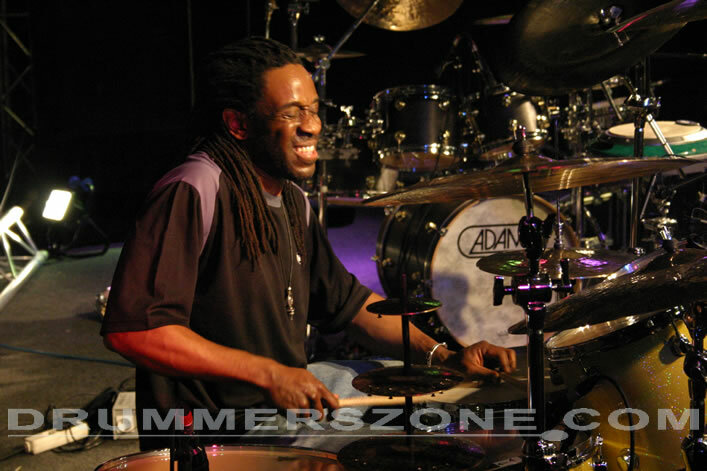 Will has brought together an all-star lineup for this cd, featuring artists like: Bernie Worrell on keys, Doug Wimbish on bass, Dr. Know, the guitarist from Bad Brains, and other special guests. 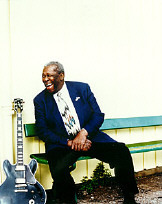 The Band is titled Black Jack Johnson. 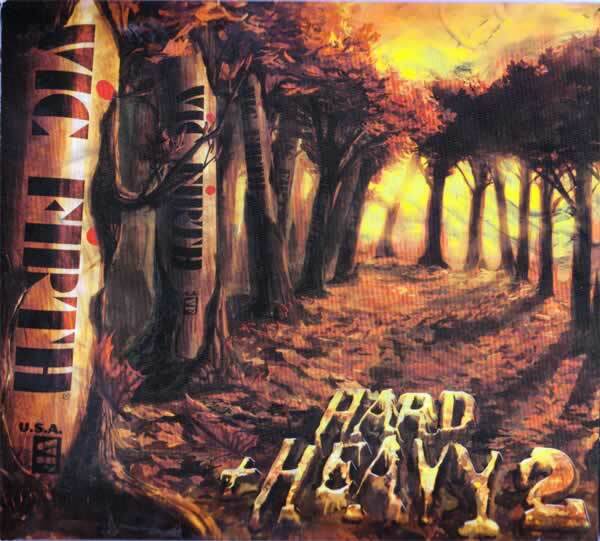 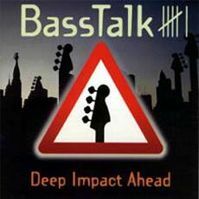 Keep your eyes and ears open for this CD. 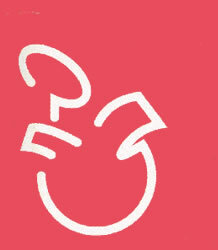 It will be in the usual cutting-edge Calhoun fashion.